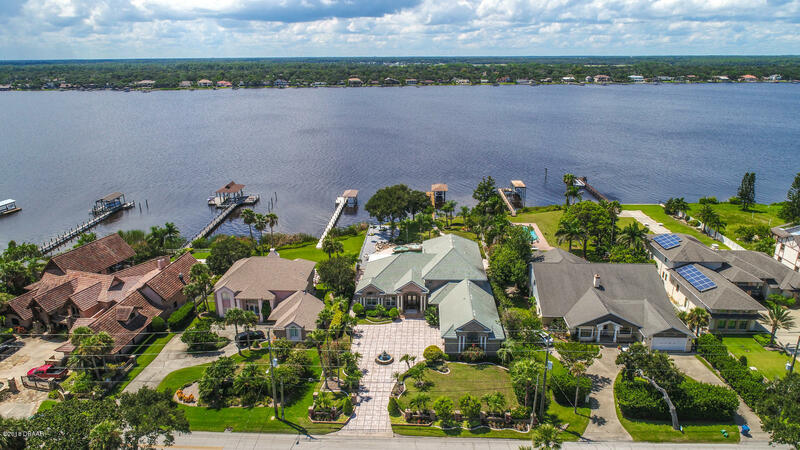 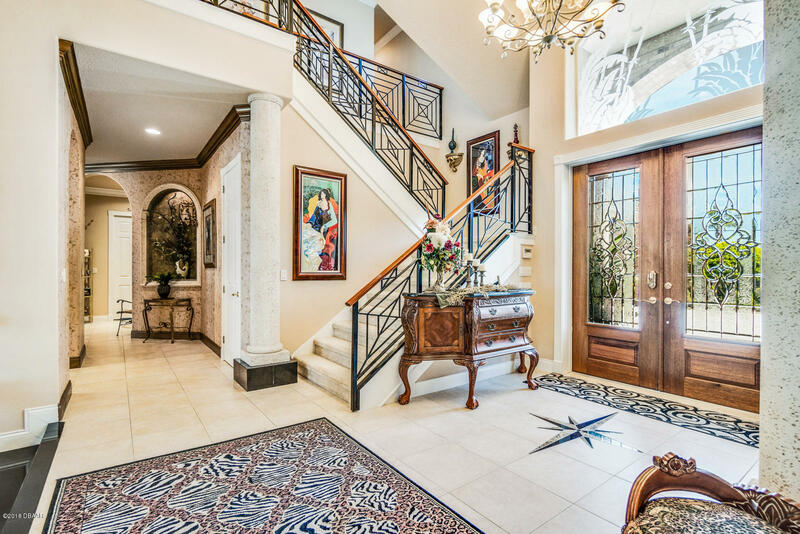 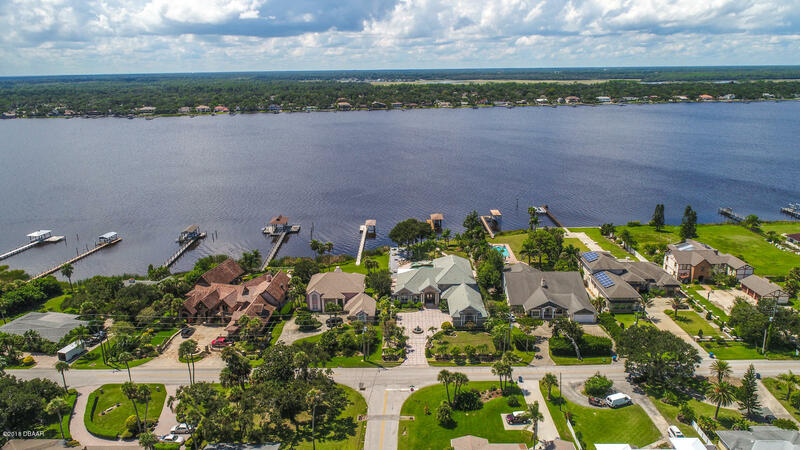 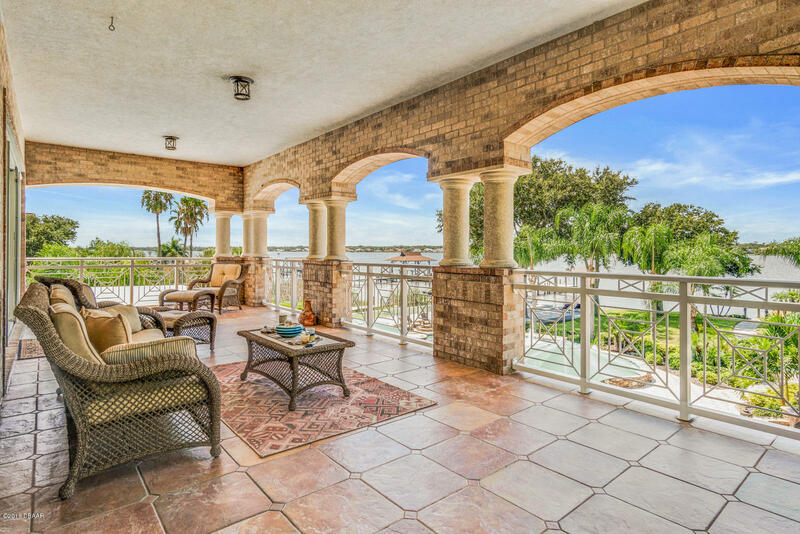 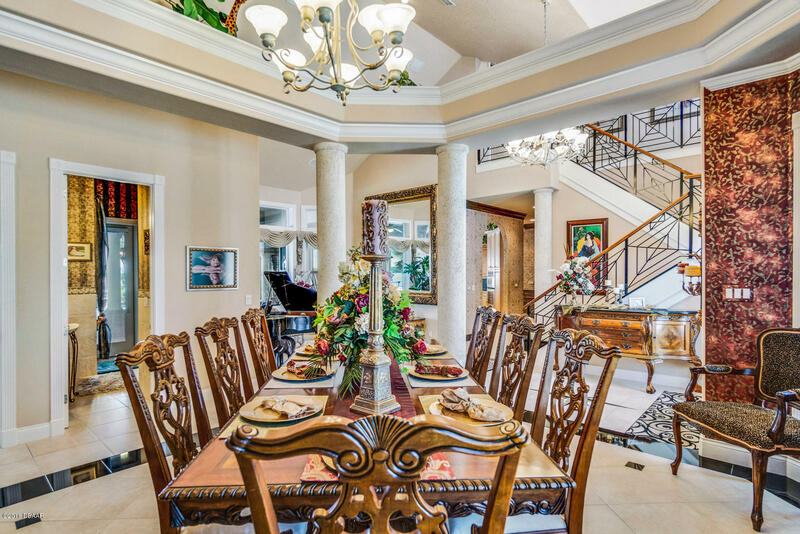 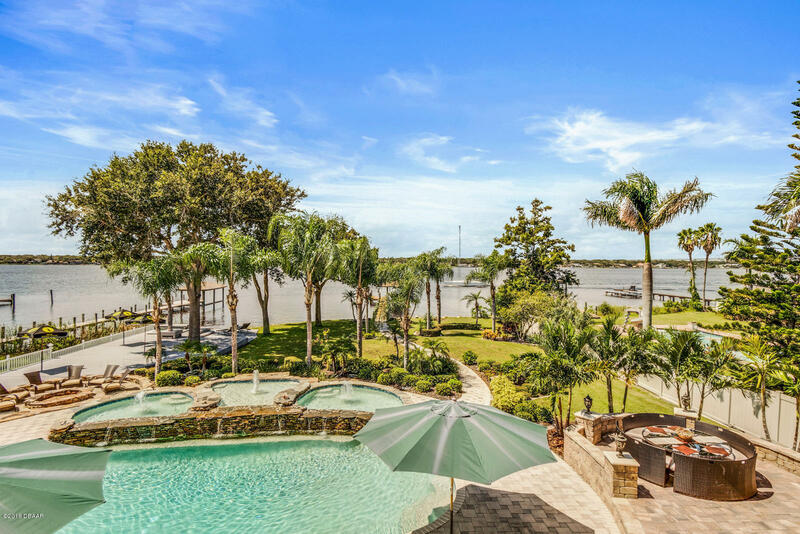 Paradise awaits at this 5 bedroom, 5 bath Strasser-built WATERFRONT dream home in one of the area's most prestigious neighborhoods. 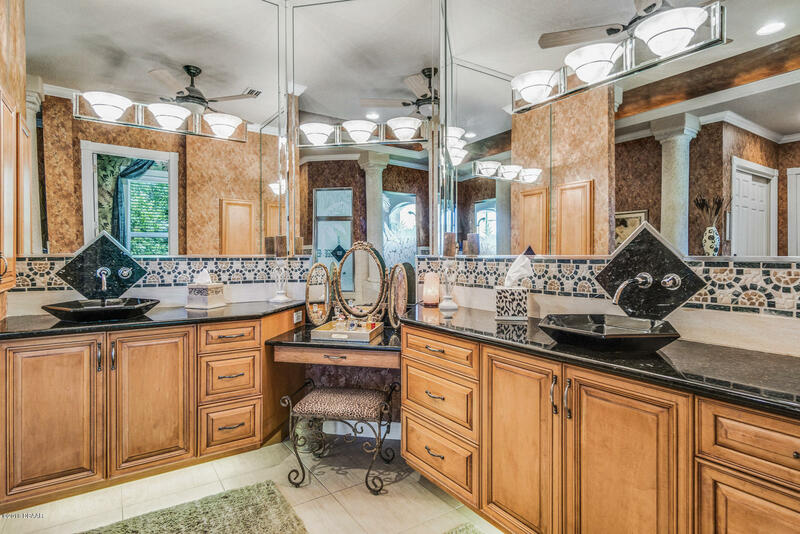 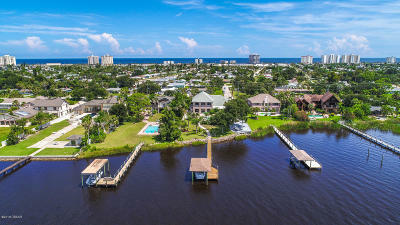 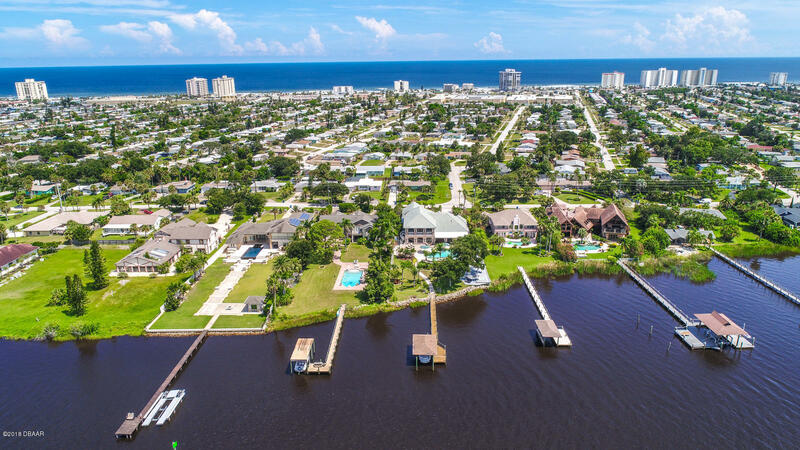 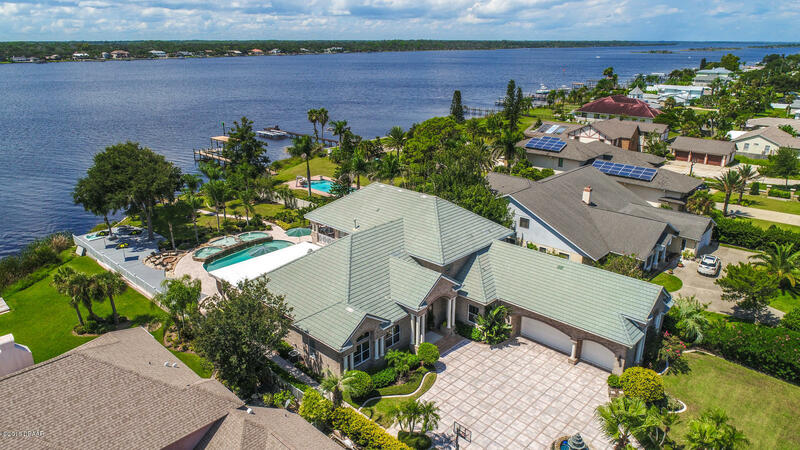 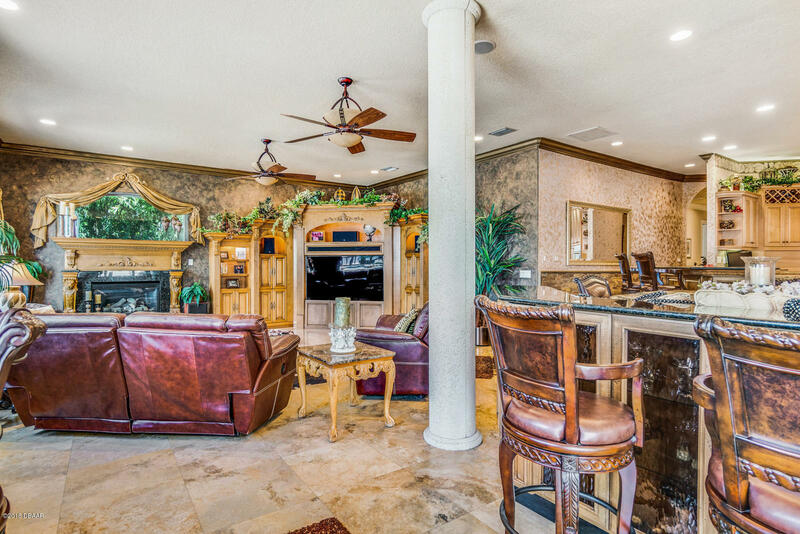 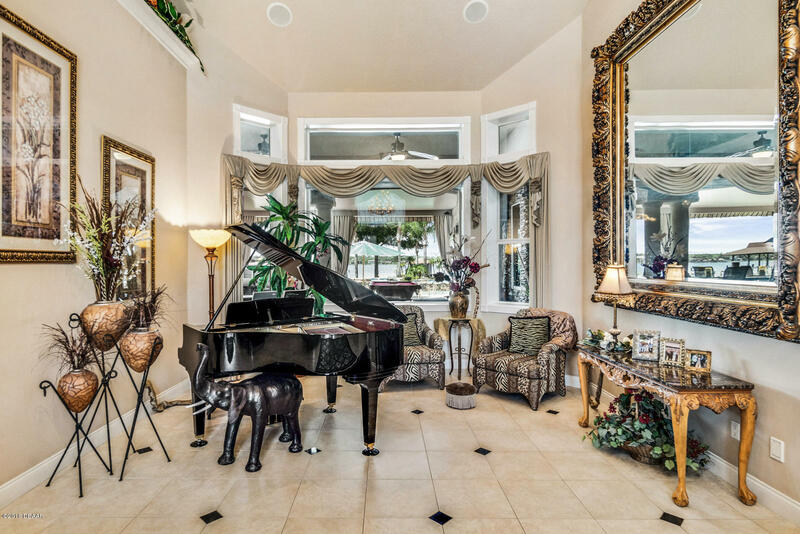 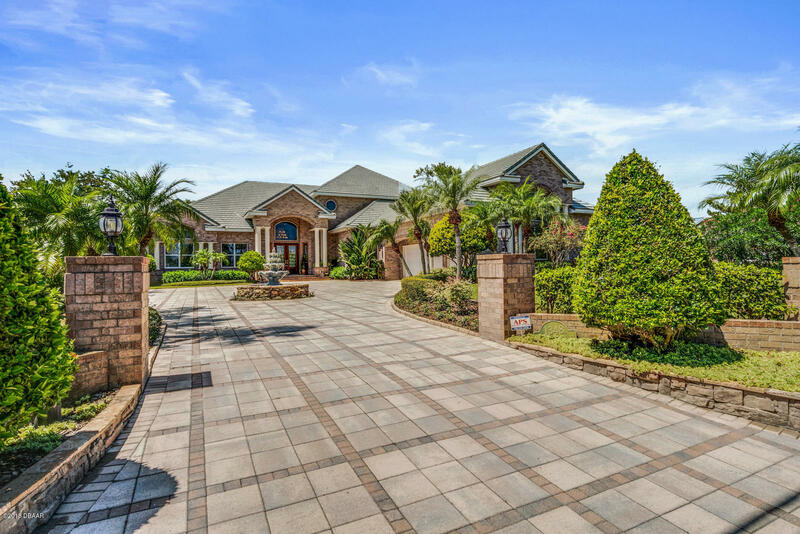 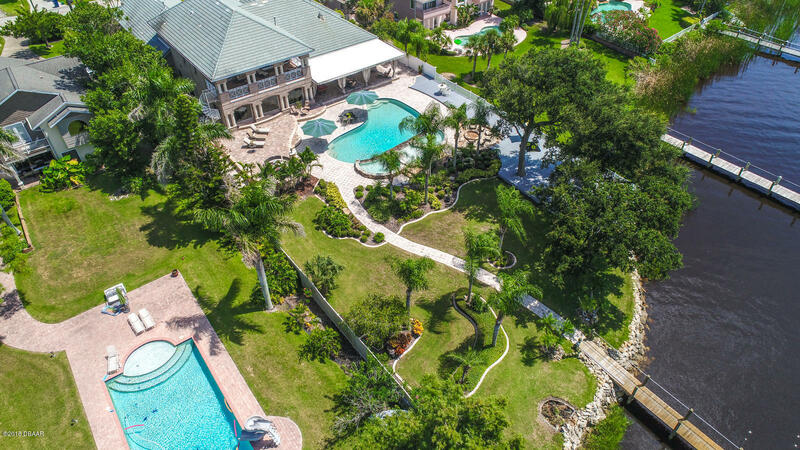 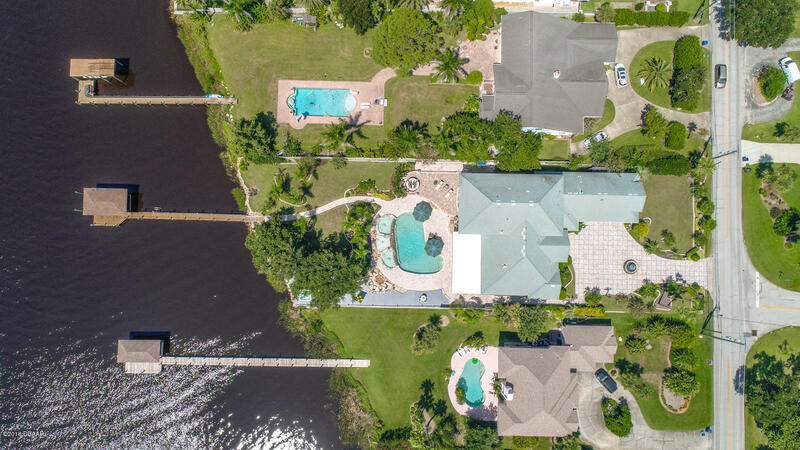 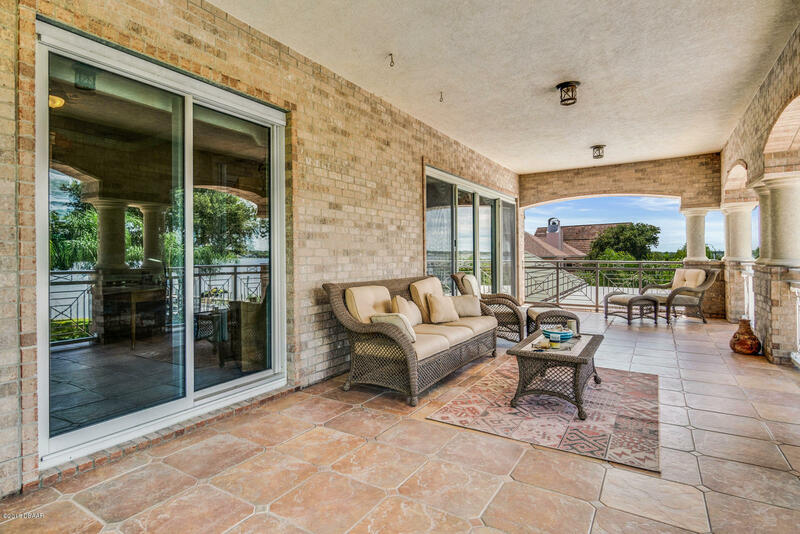 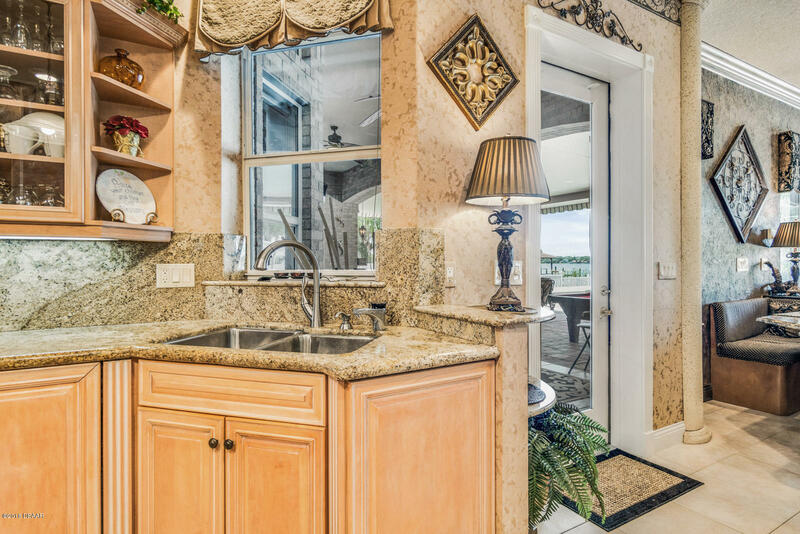 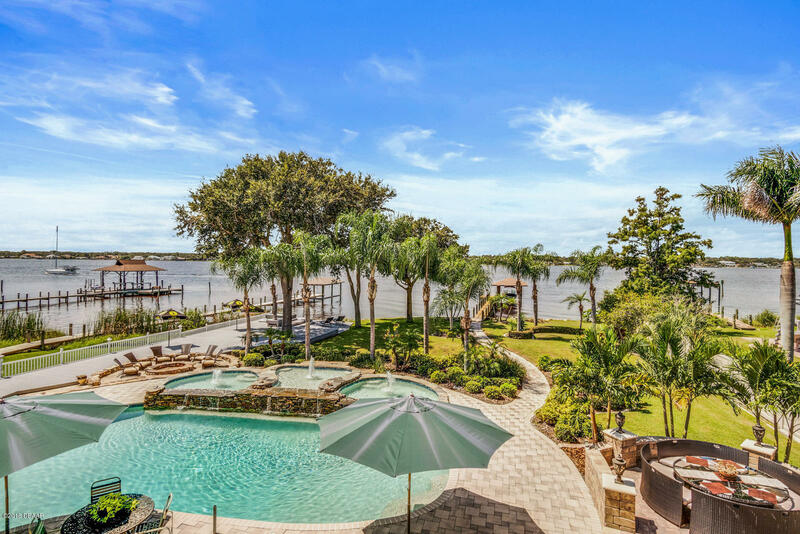 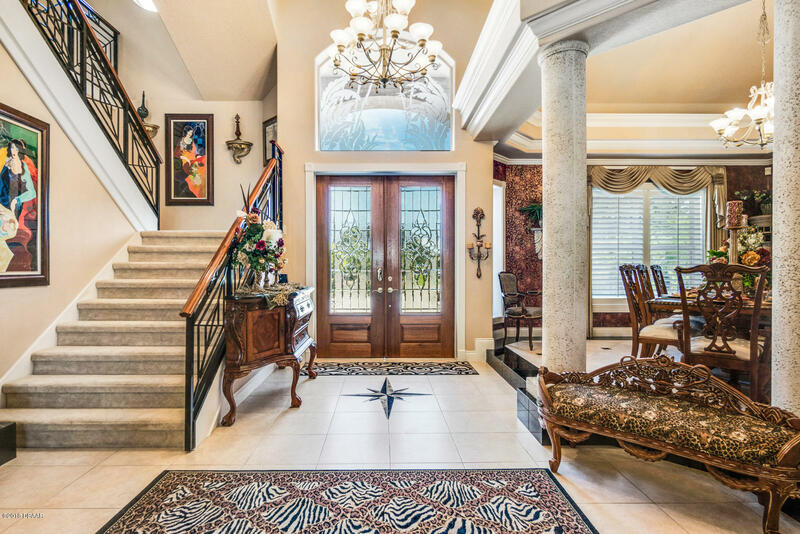 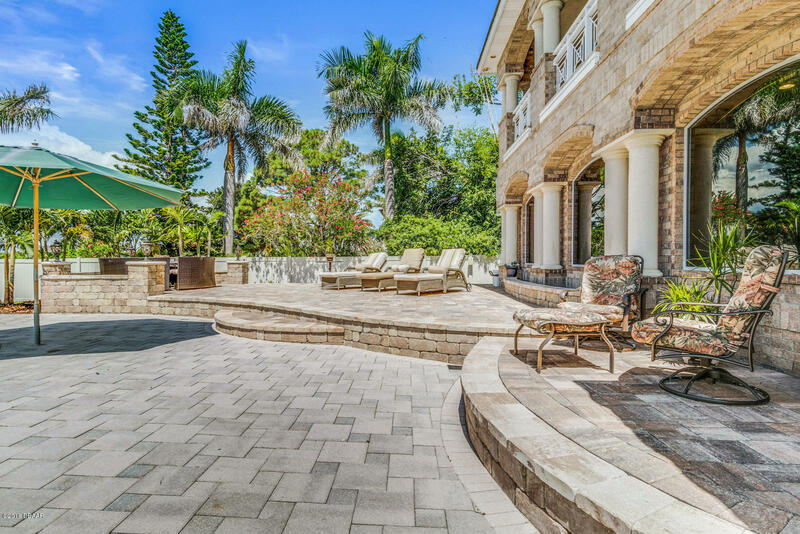 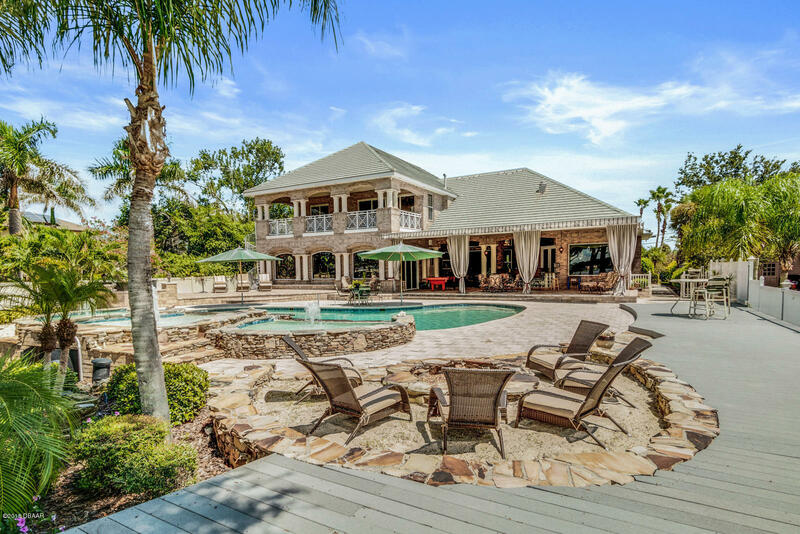 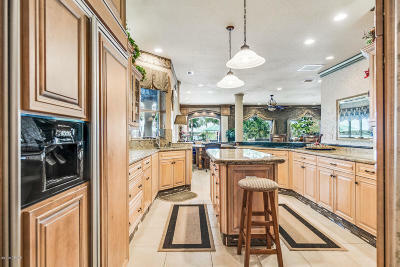 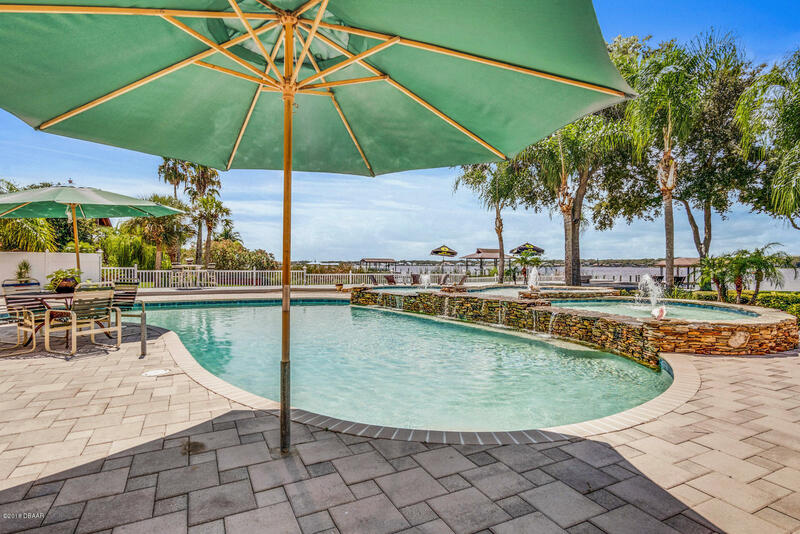 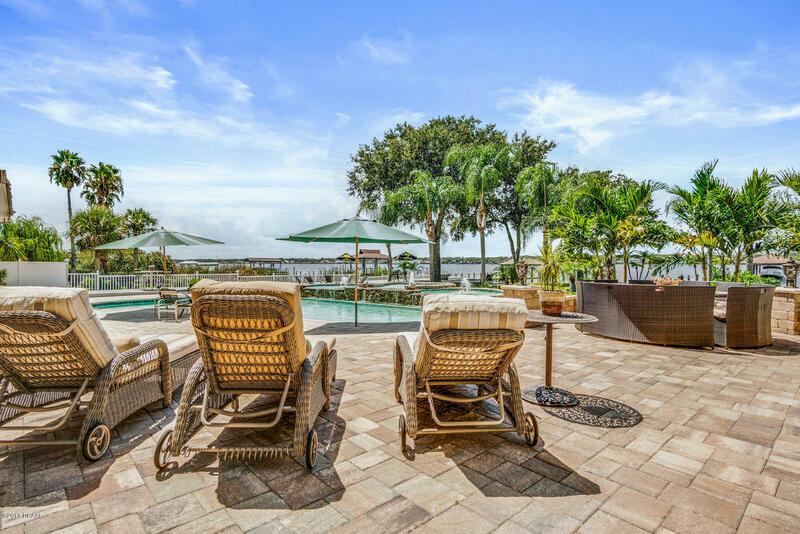 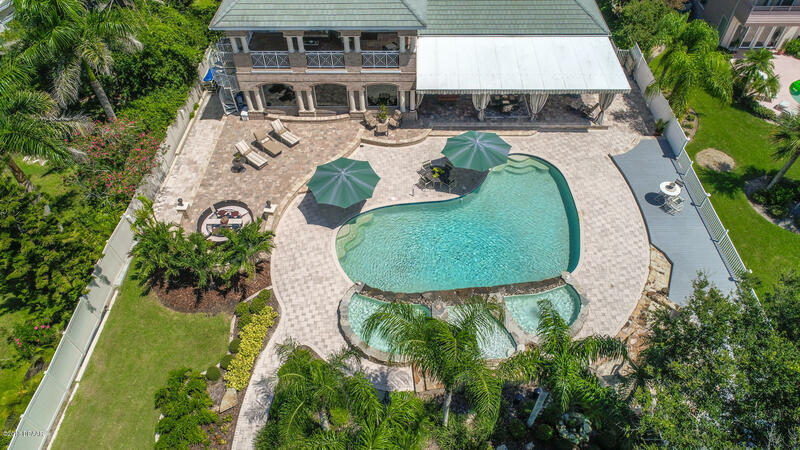 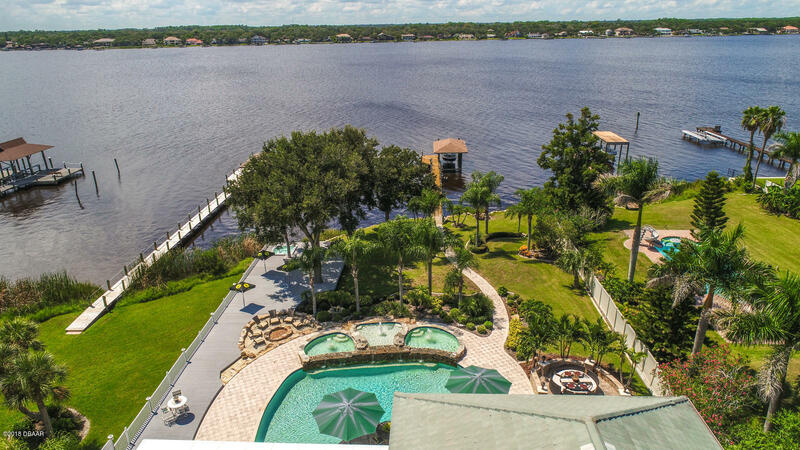 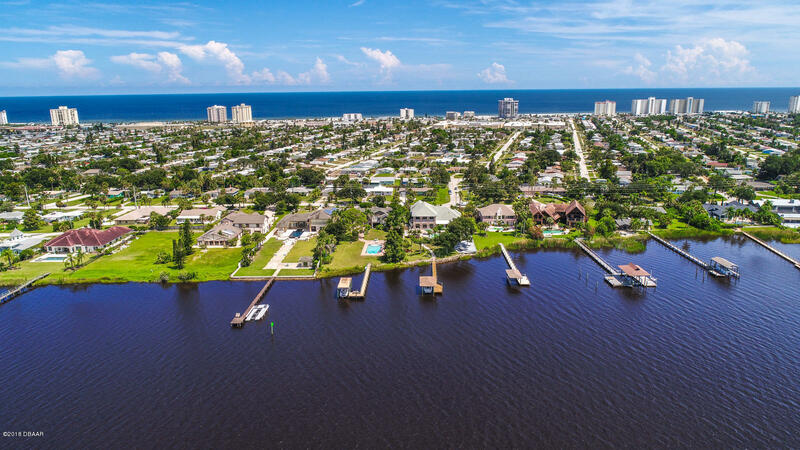 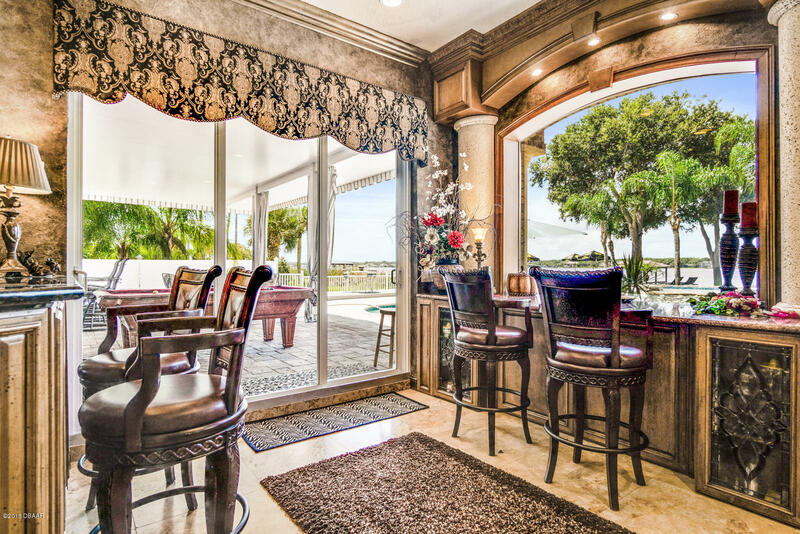 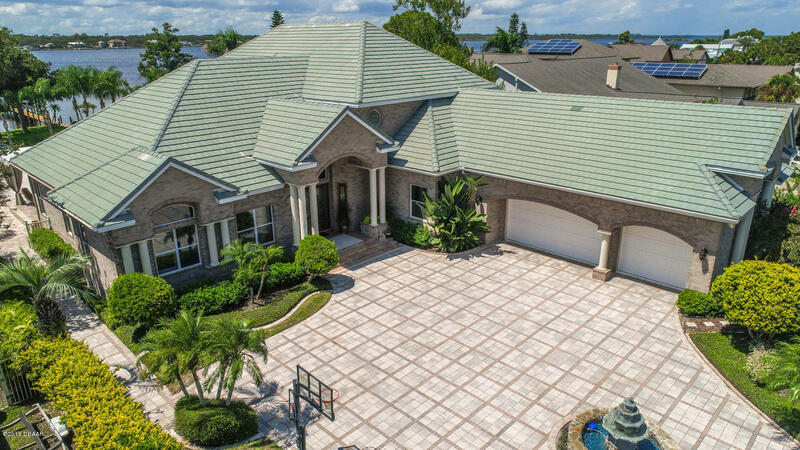 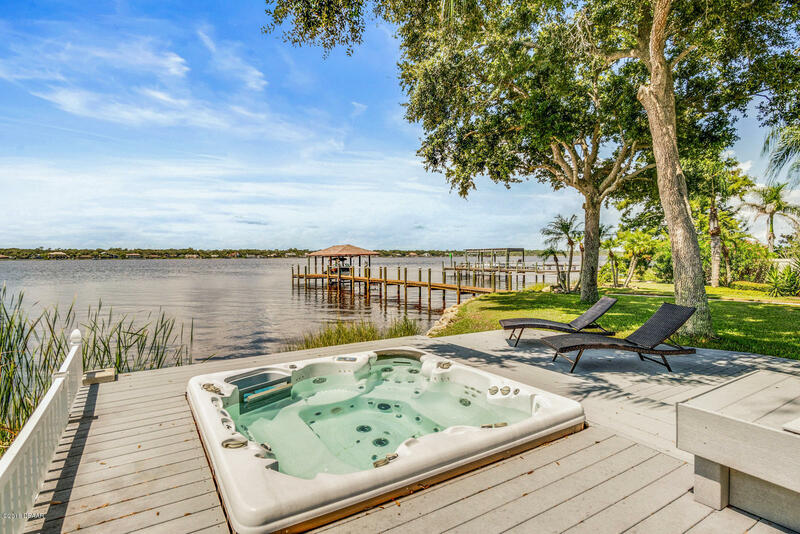 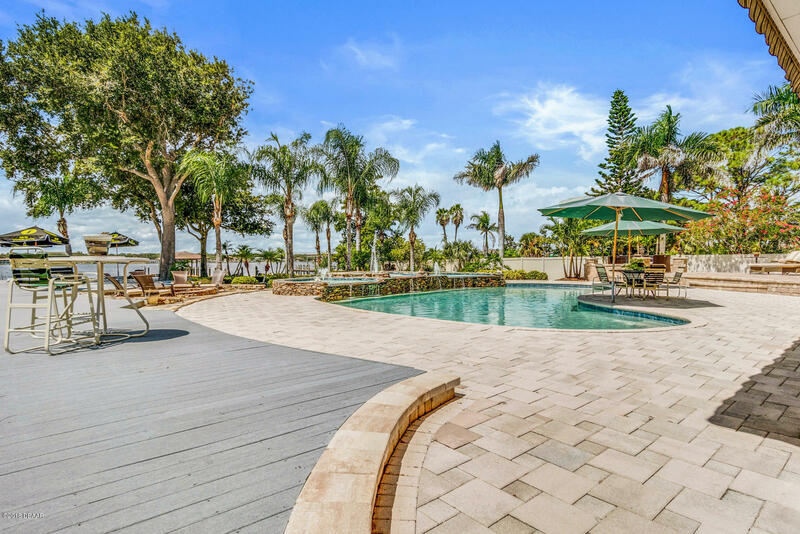 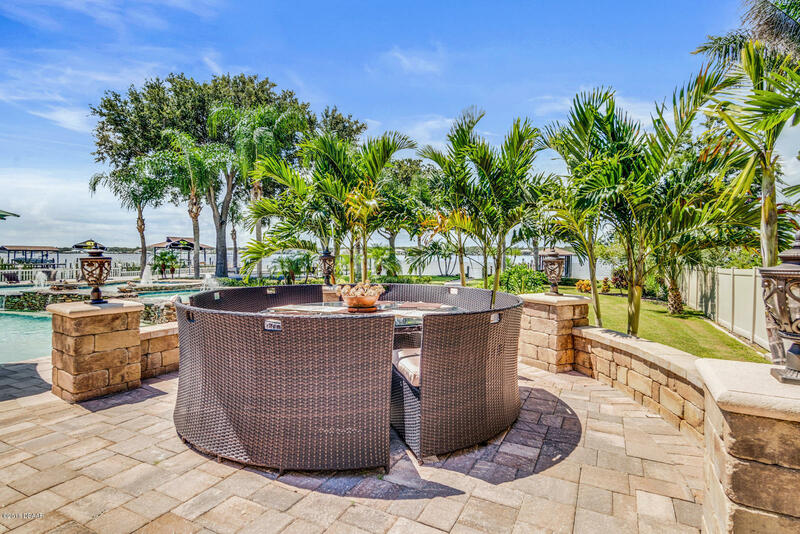 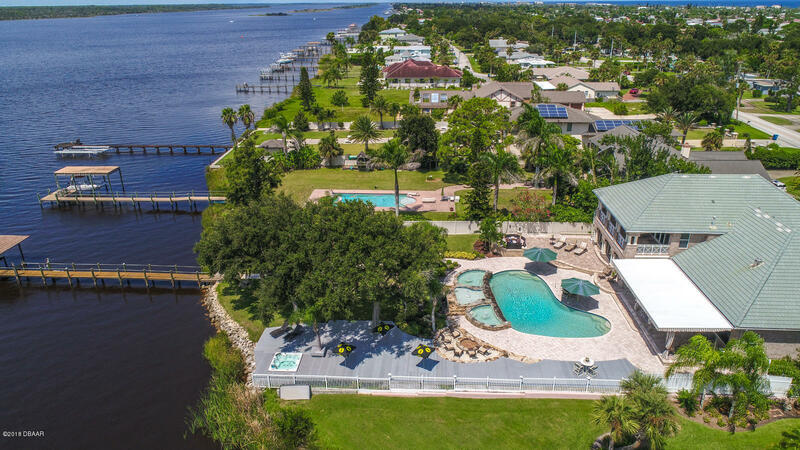 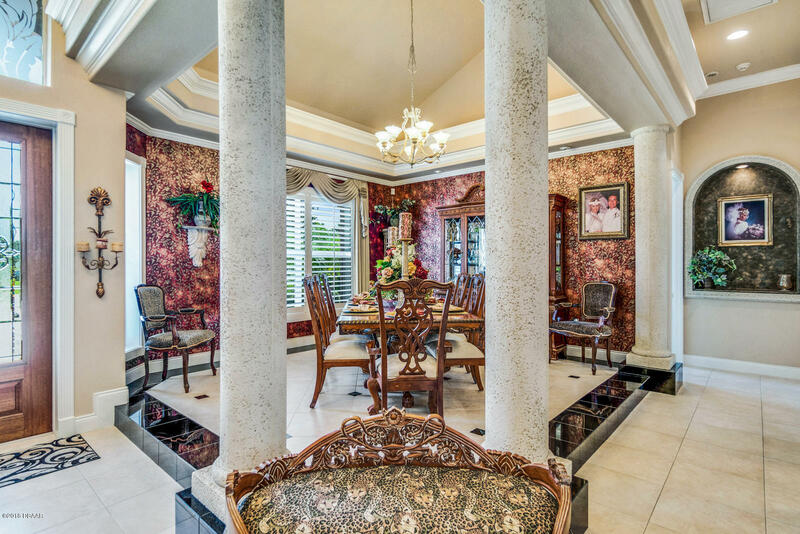 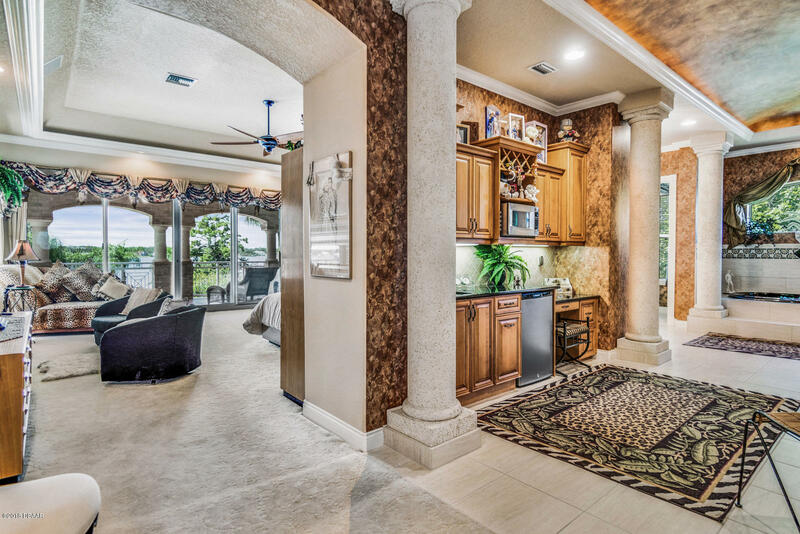 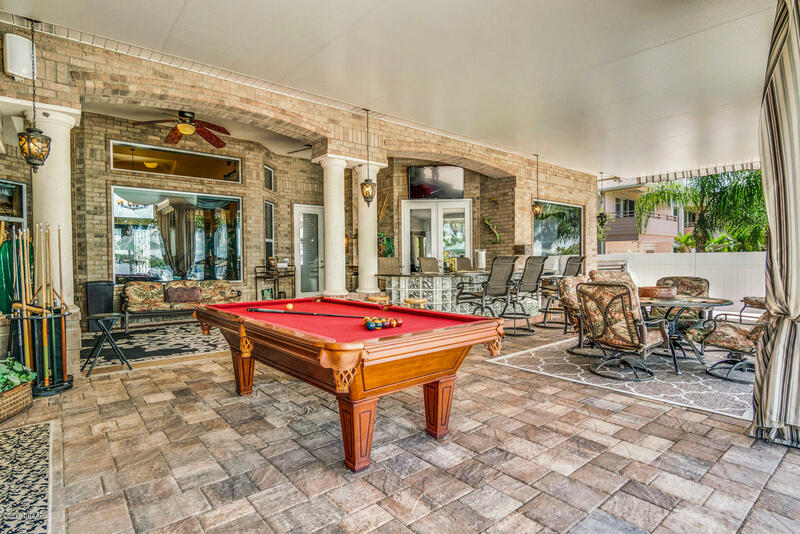 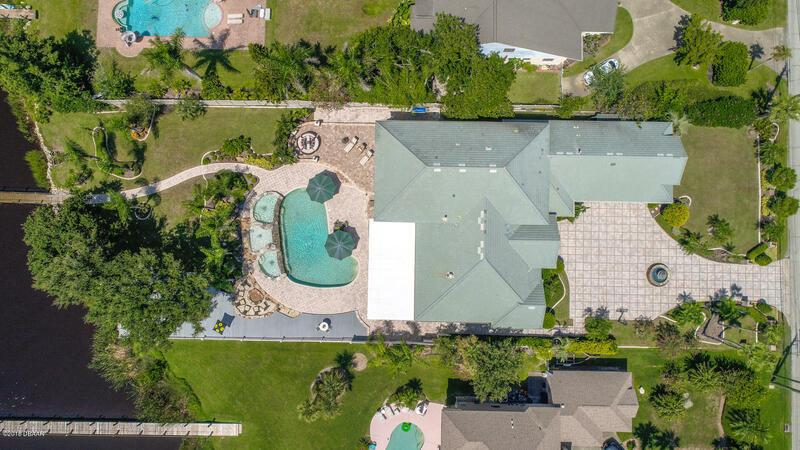 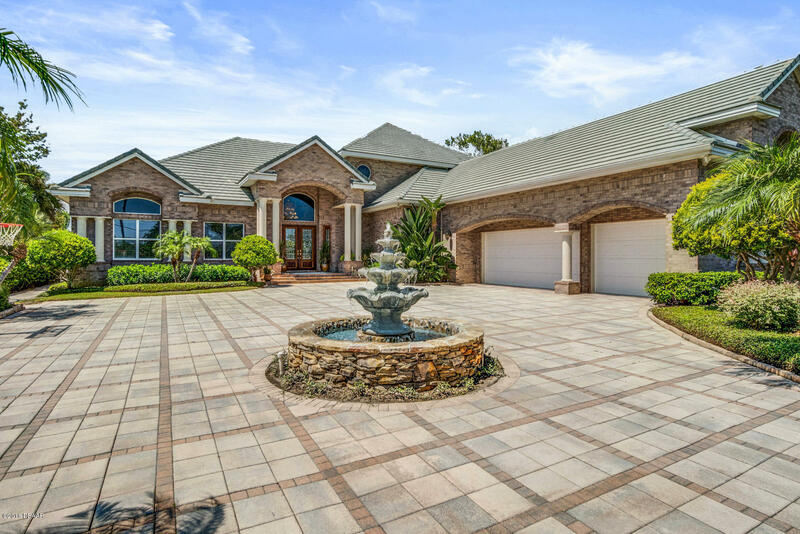 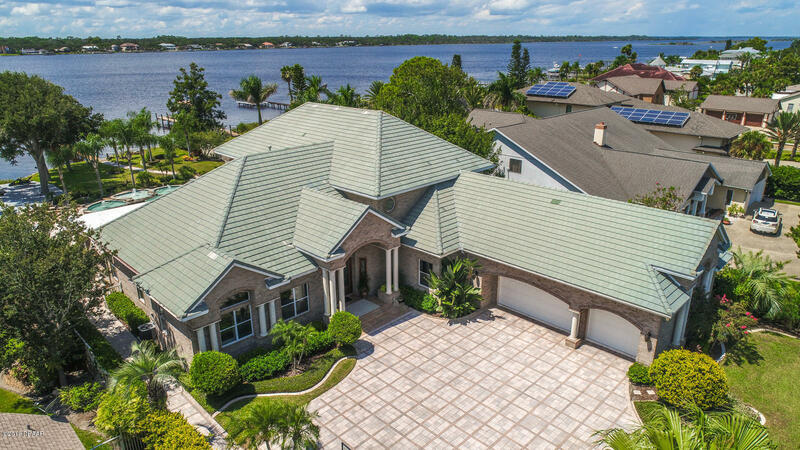 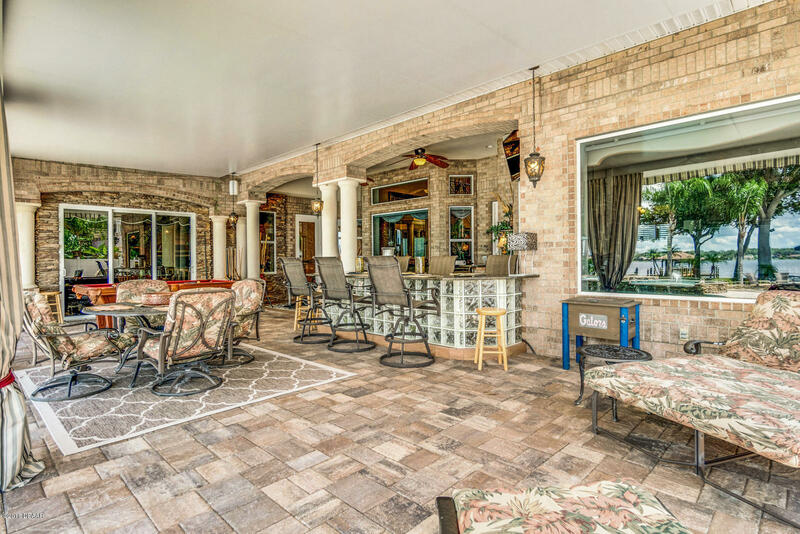 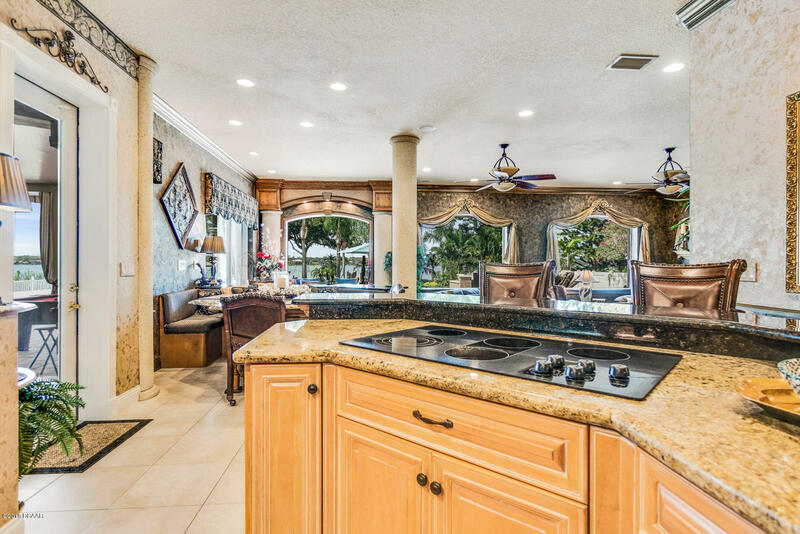 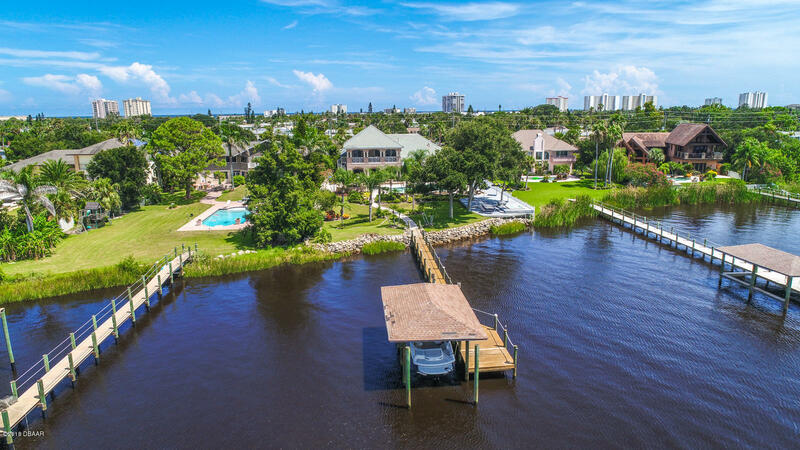 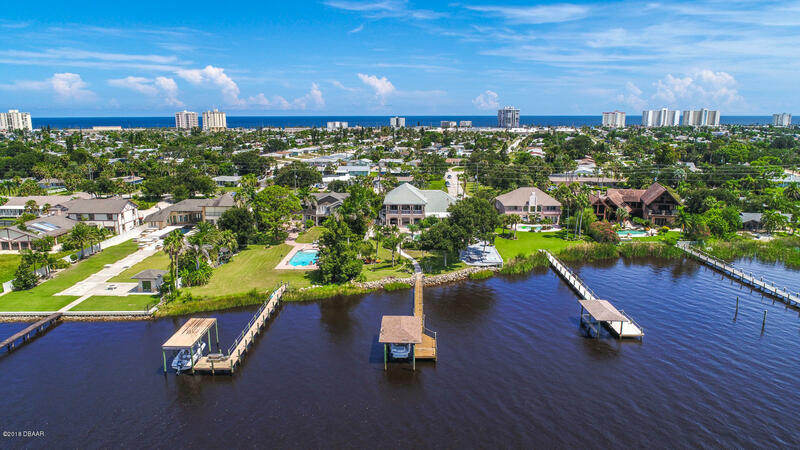 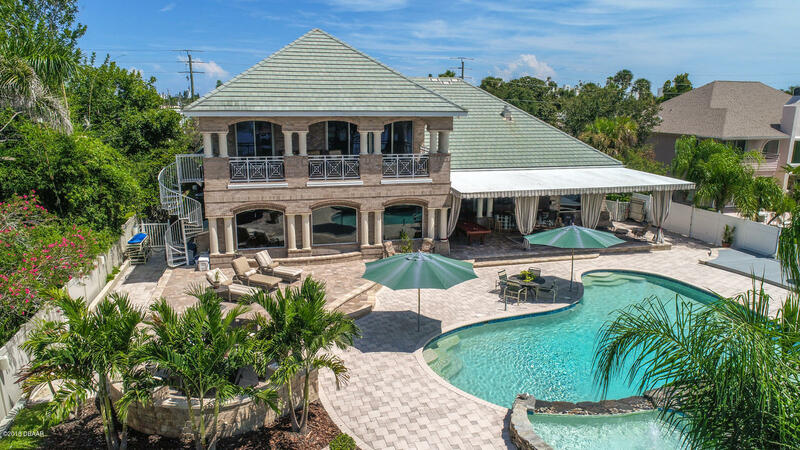 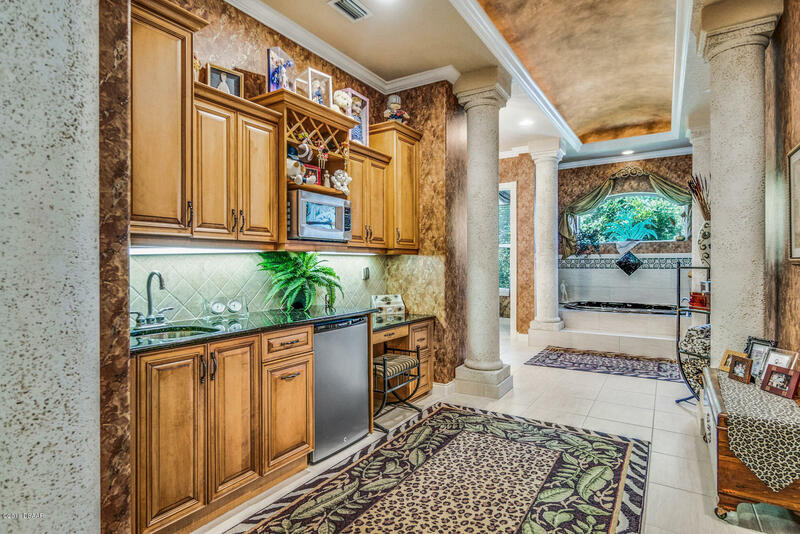 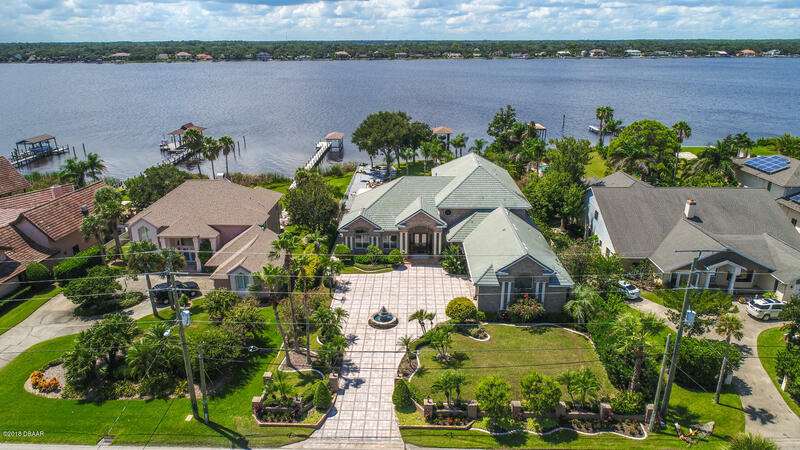 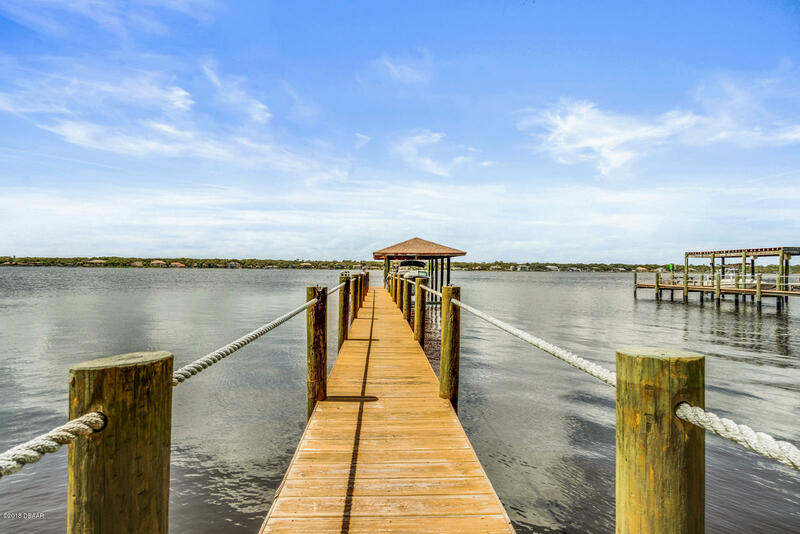 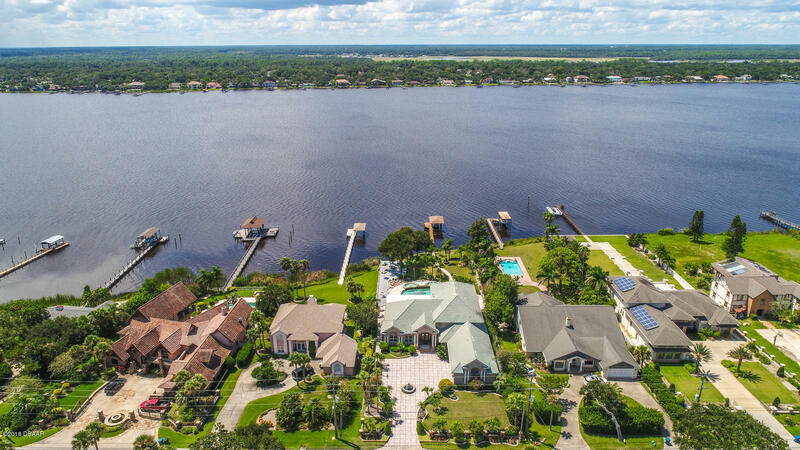 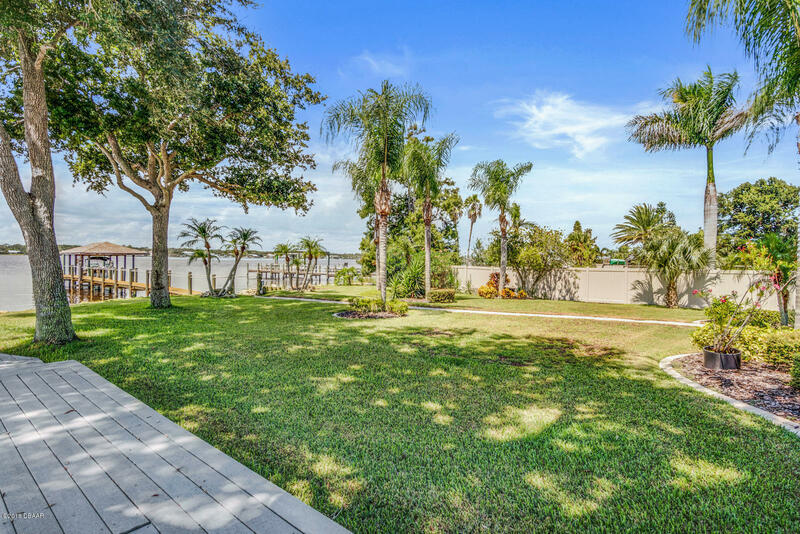 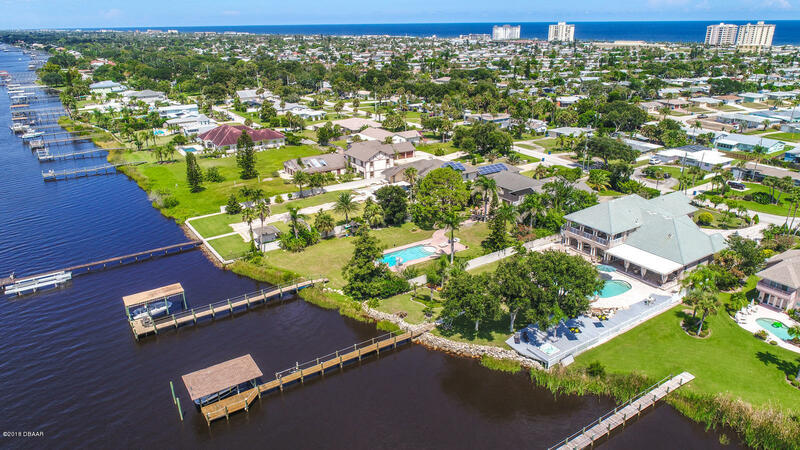 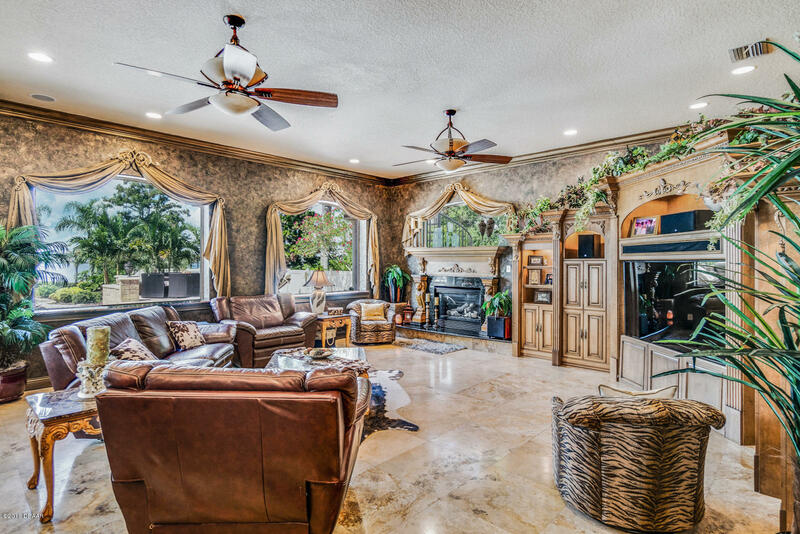 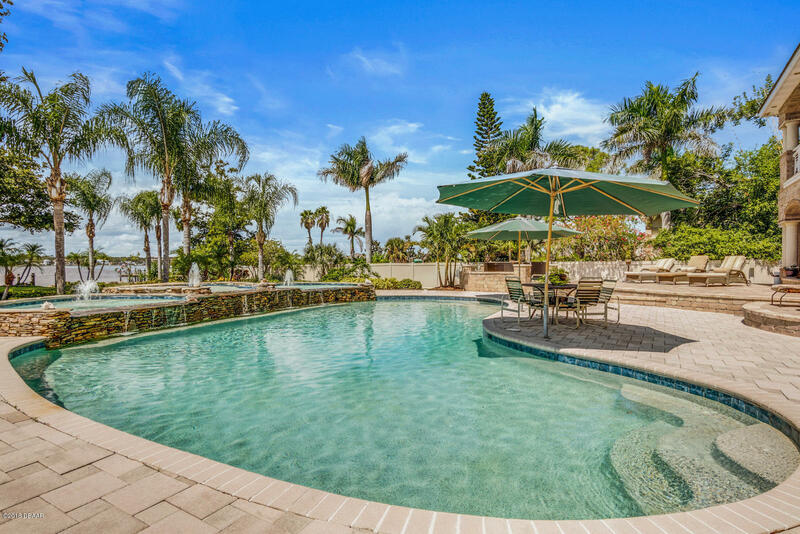 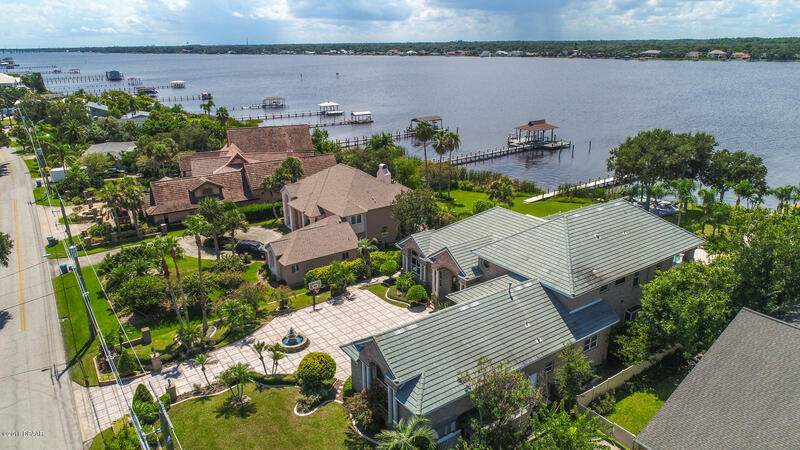 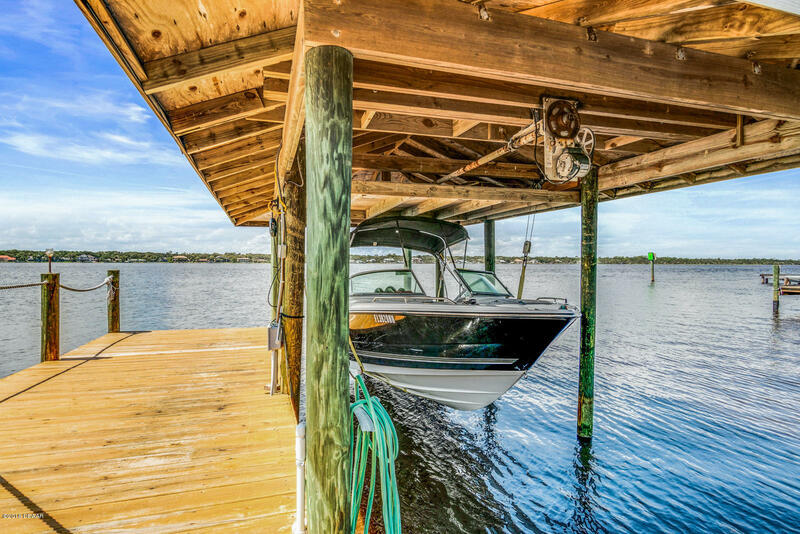 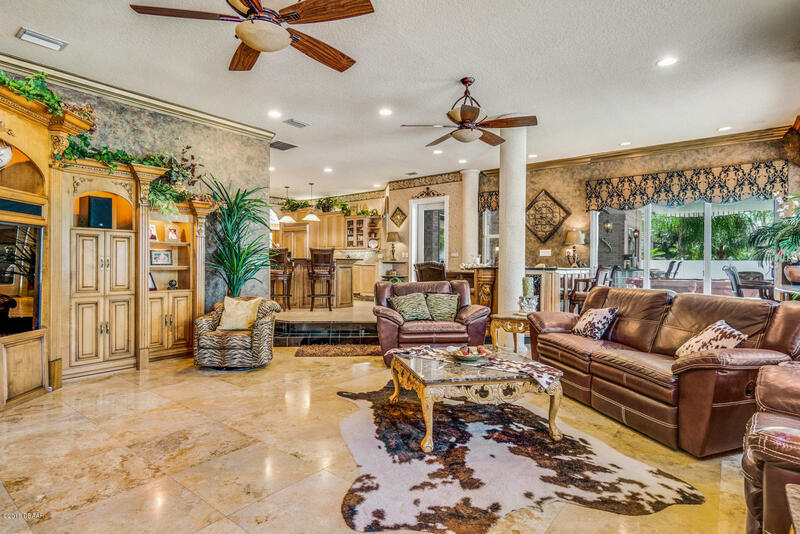 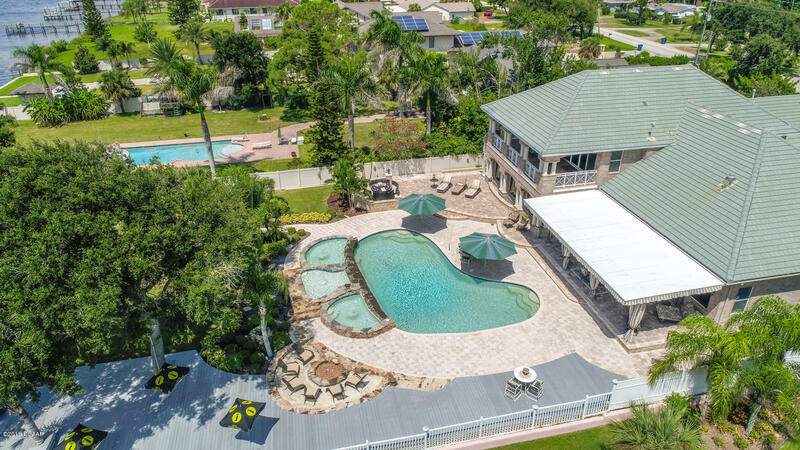 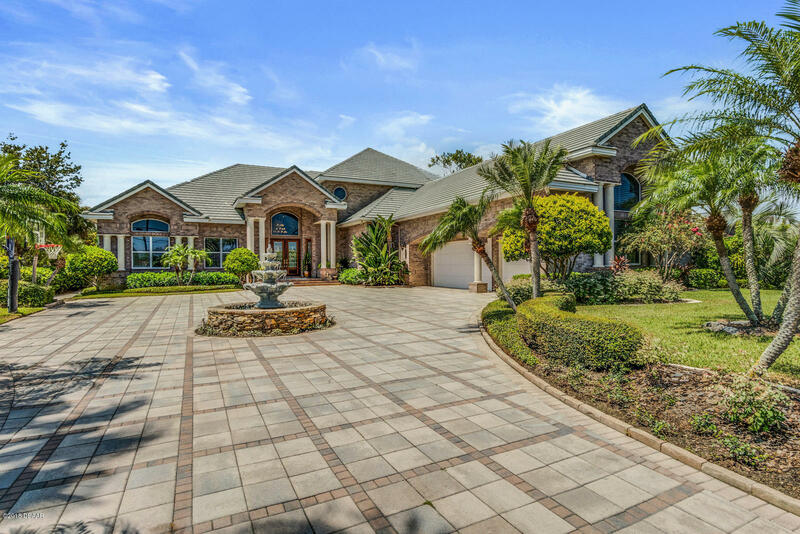 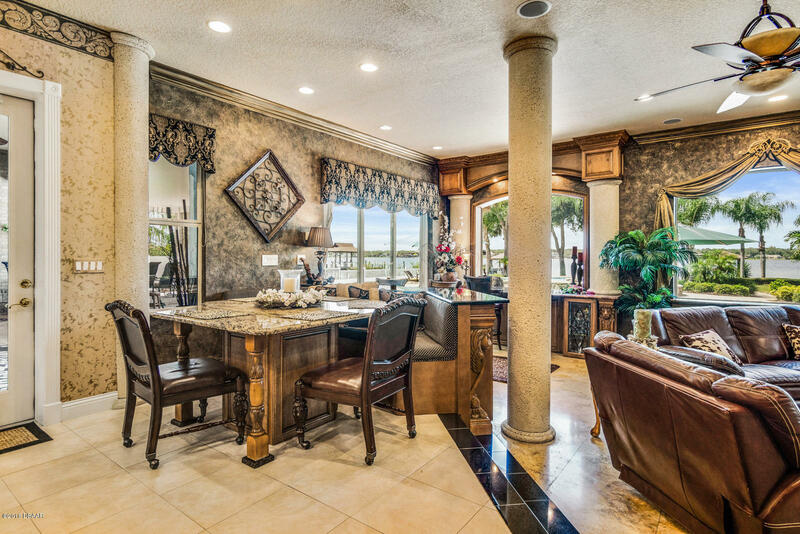 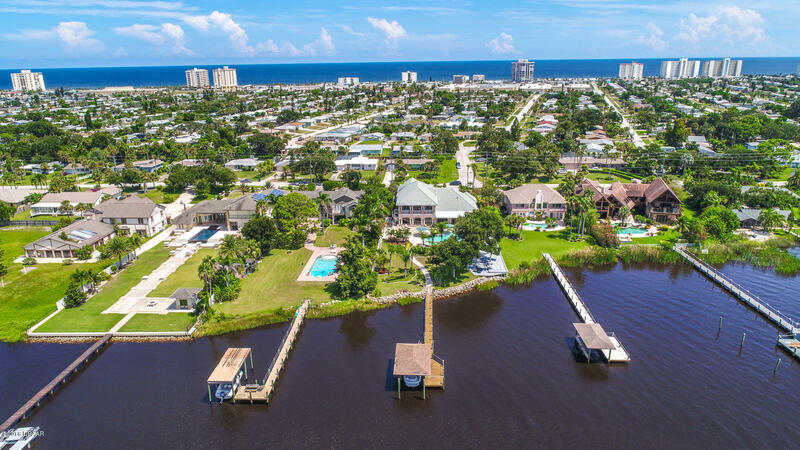 Set on a deep 300-ft riverfront lot, this home boasts a spectacular back yard offering some of the area's most breathtaking views of the Intracoastal, lots of lush tropical landscaping and resort style amenities. 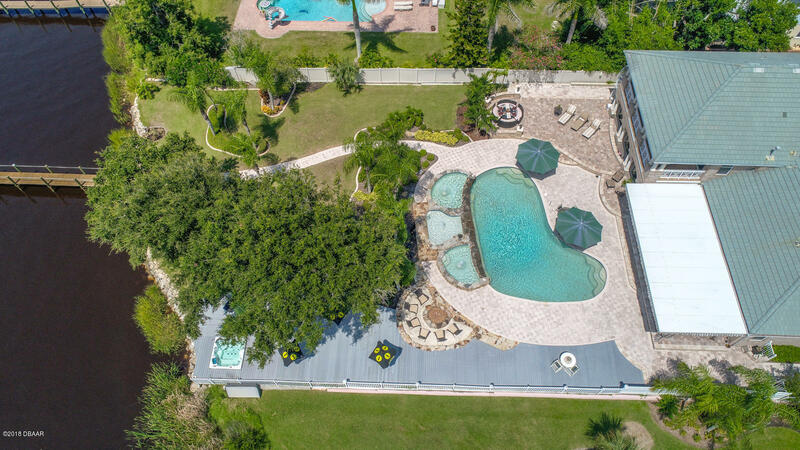 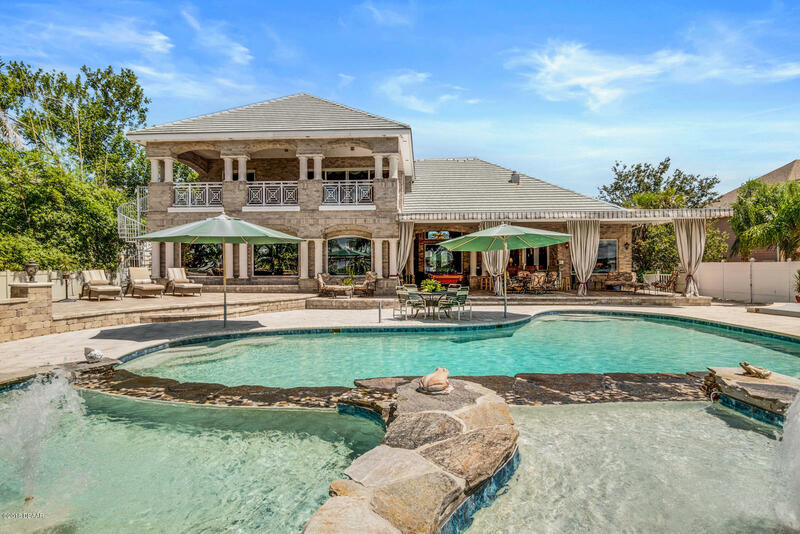 Sweltering summer days are no match for this home's supersized inground pool with fabulous fountains and small wading pools that the little ones in your life will love. 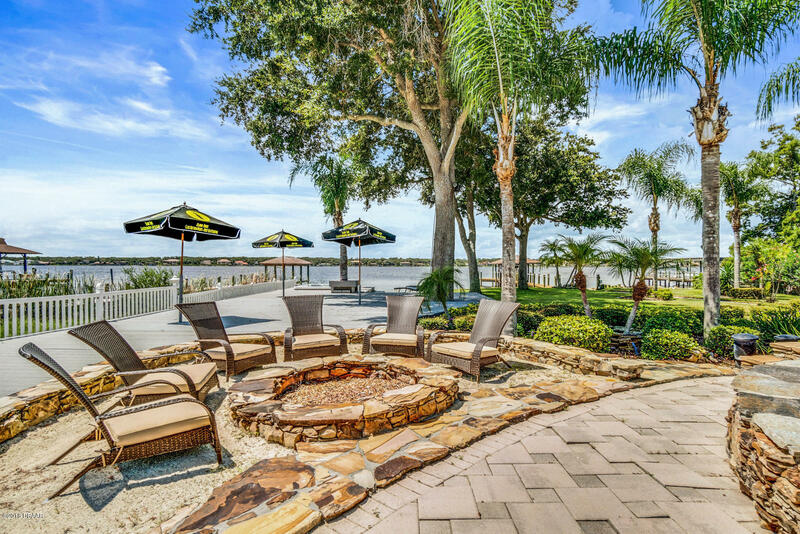 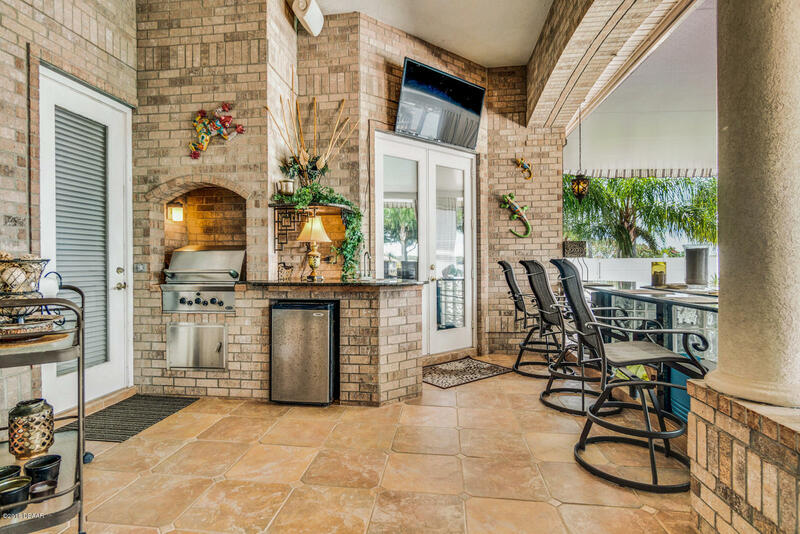 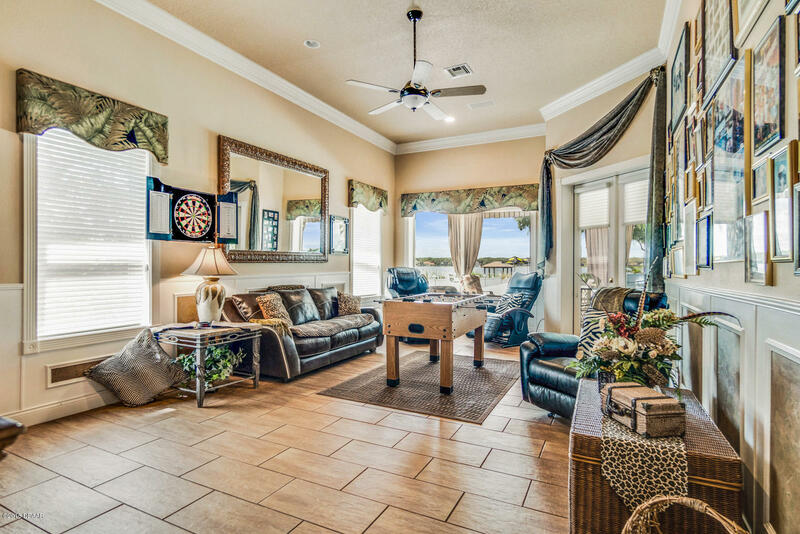 Host big backyard BBQ's and fun family events with ease, thanks to the many entertaining areas, summer kitchen, custom bar, large gas fire pit, handy hot tub built into the deck just above the river, covered boat dock with lift. 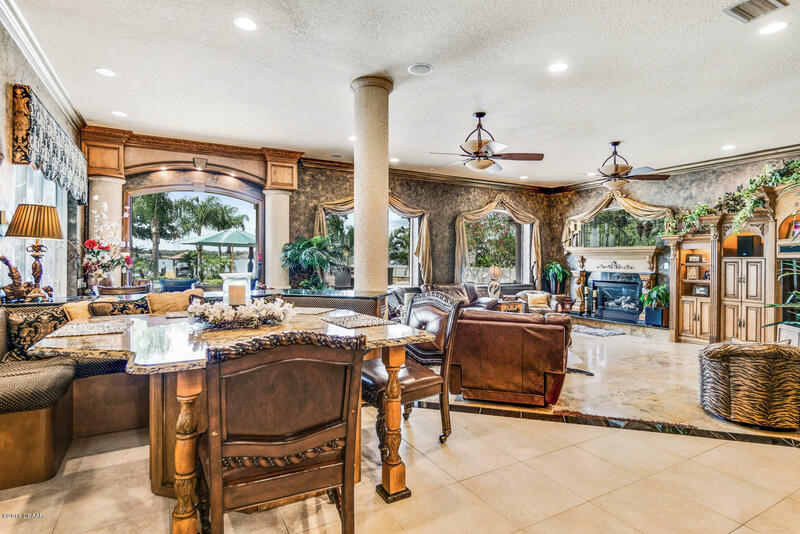 Inside, lavish luxuries abound in the sprawling open floor plan with super spacious formal and informal living and dining spaces. 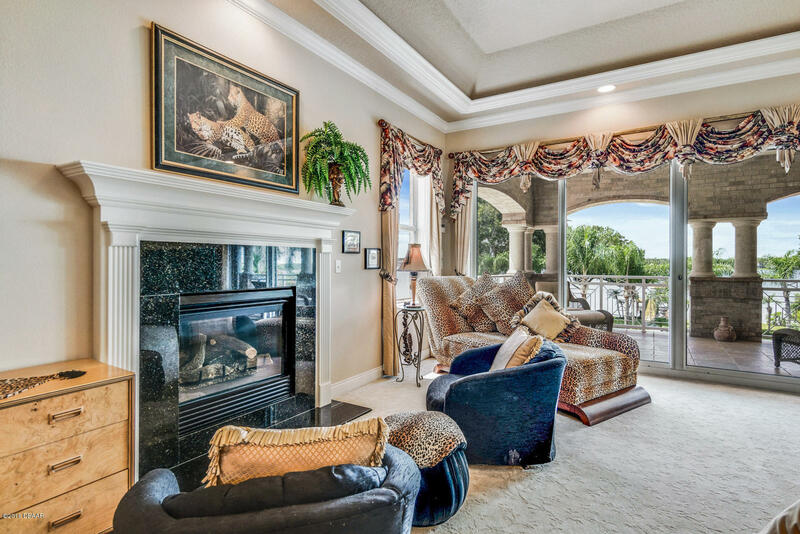 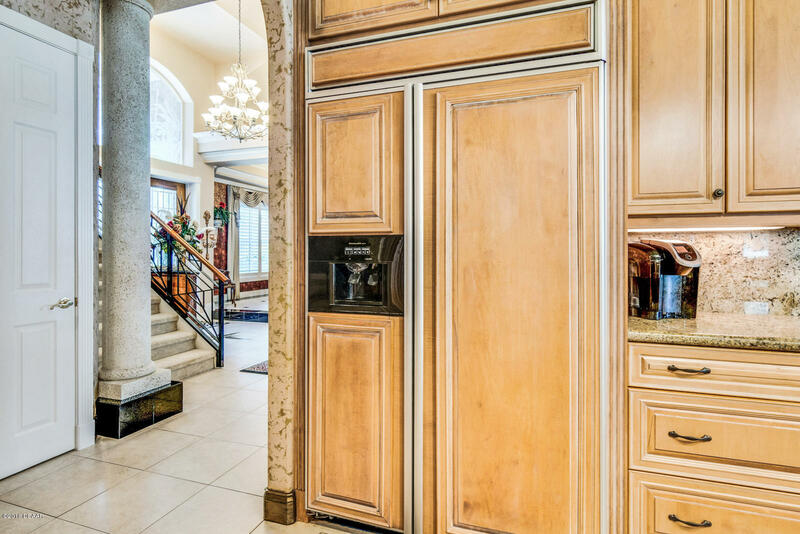 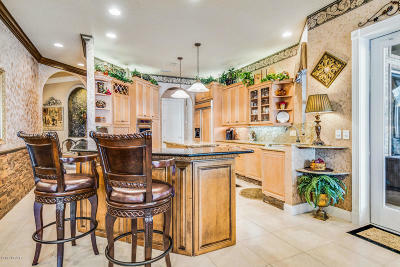 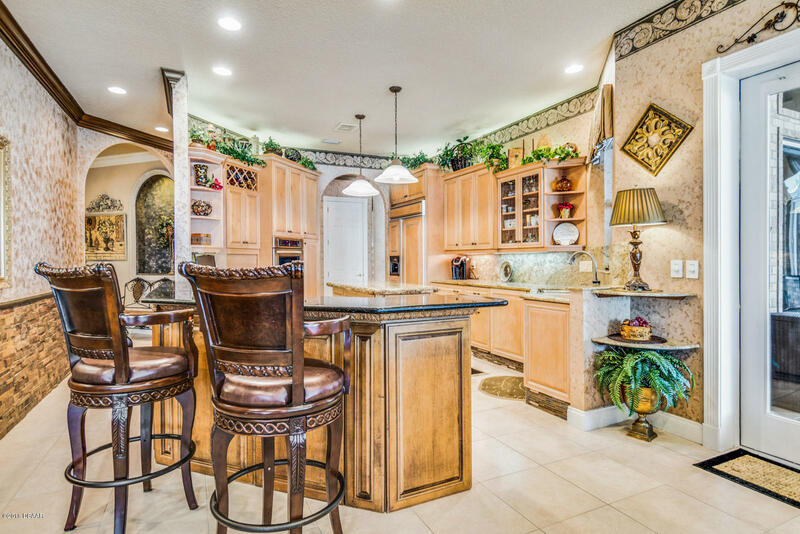 Enjoy soaring ceilings and loads of high end fixtures and features everywhere, including rich stone and tile flooring, gorgeous granite counters and table tops, custom cabinets, beautiful built-ins, hand-carved stone and wood fireplaces, beautiful balconies, and much more. 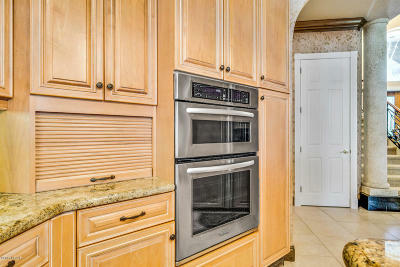 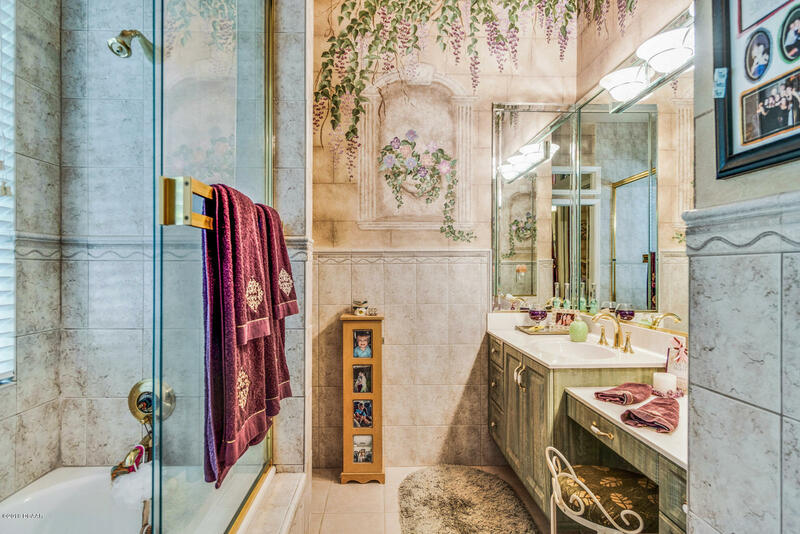 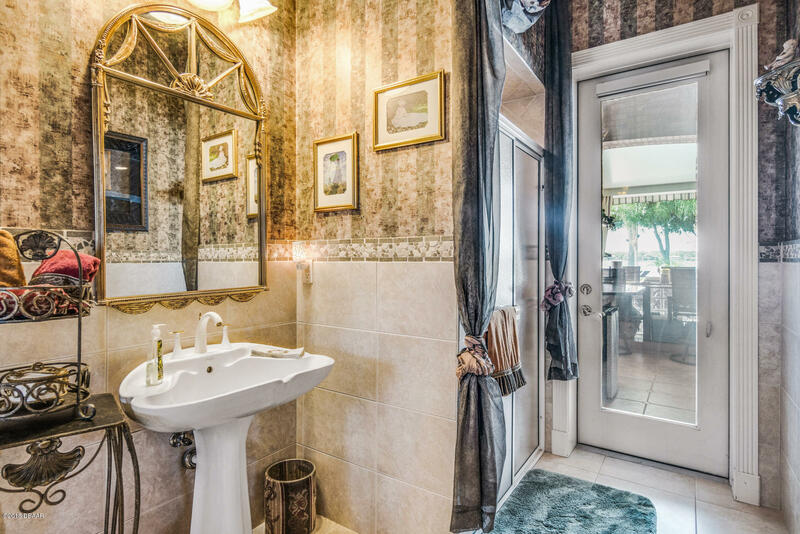 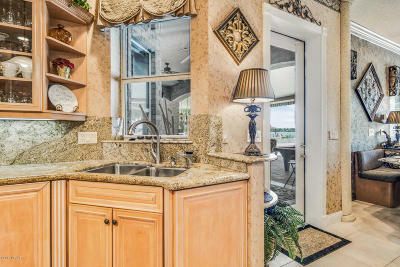 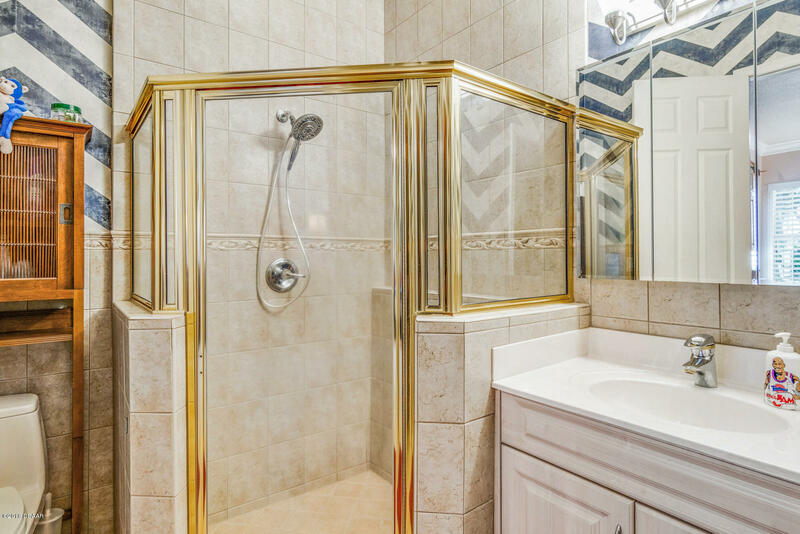 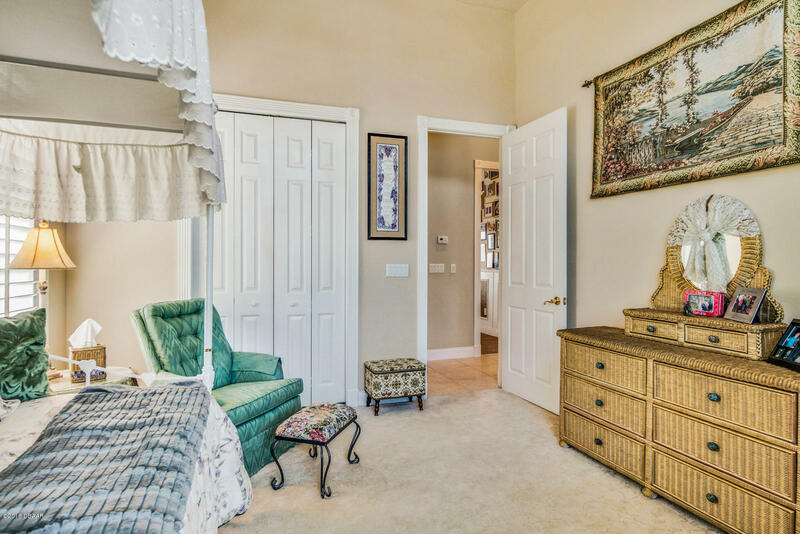 The whole family will enjoy comfort and privacy with 4 spacious bedrooms here, each offering their own private bath. 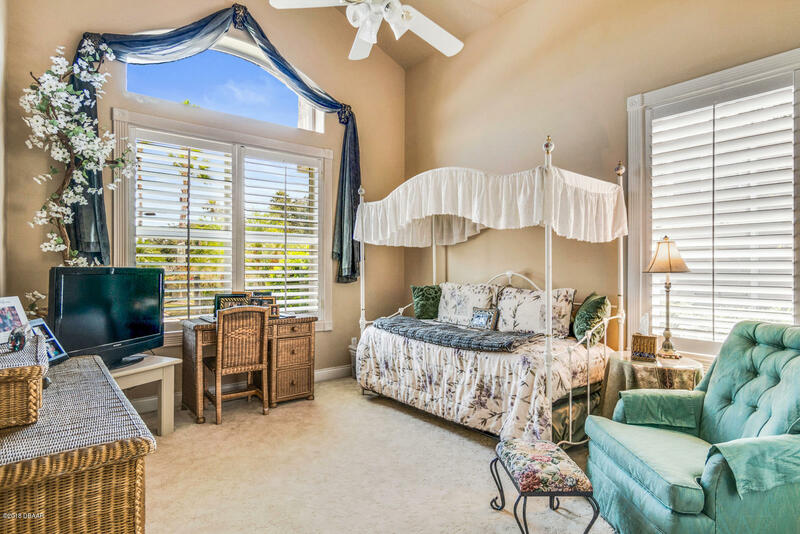 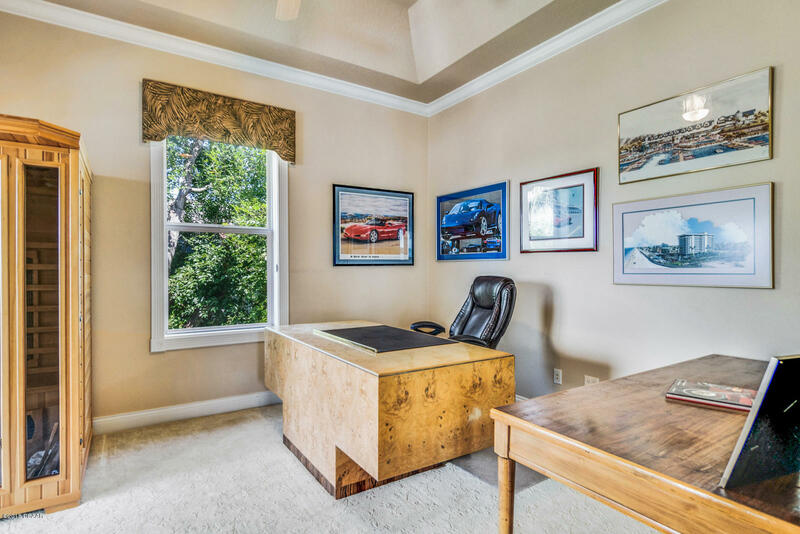 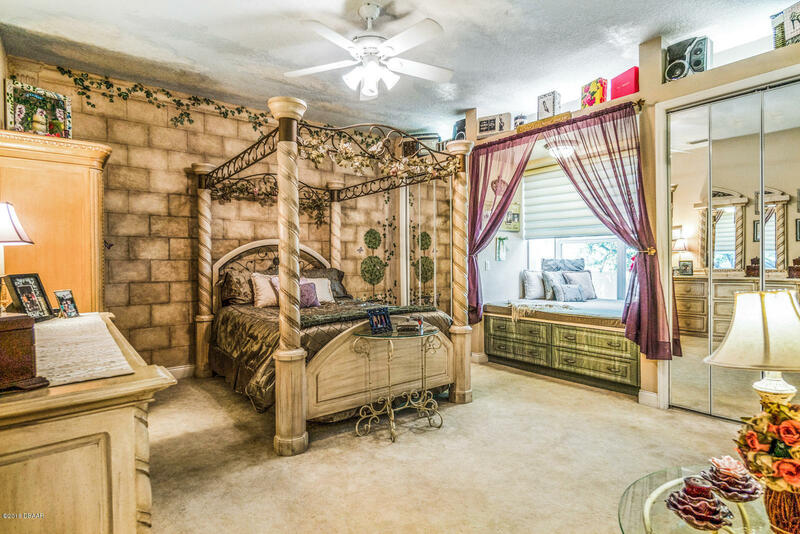 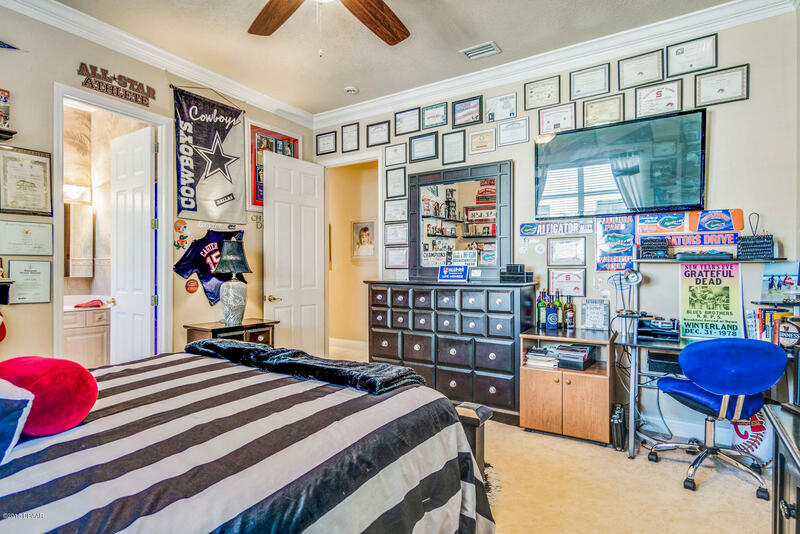 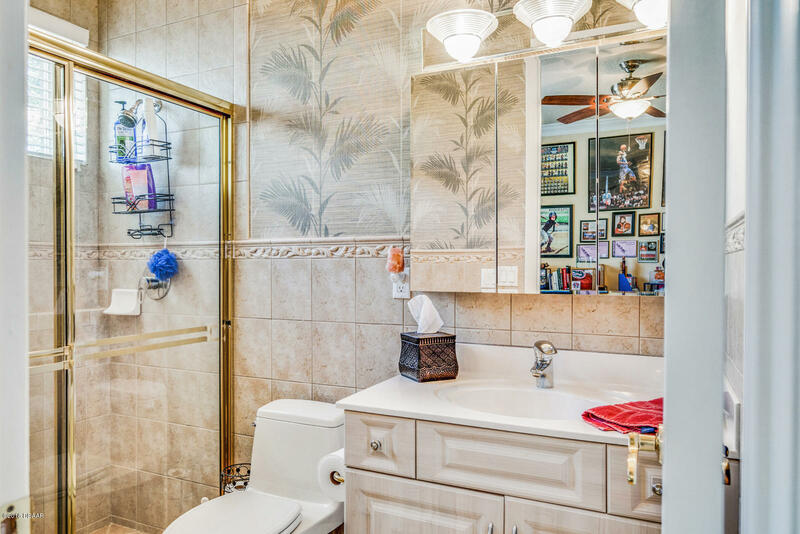 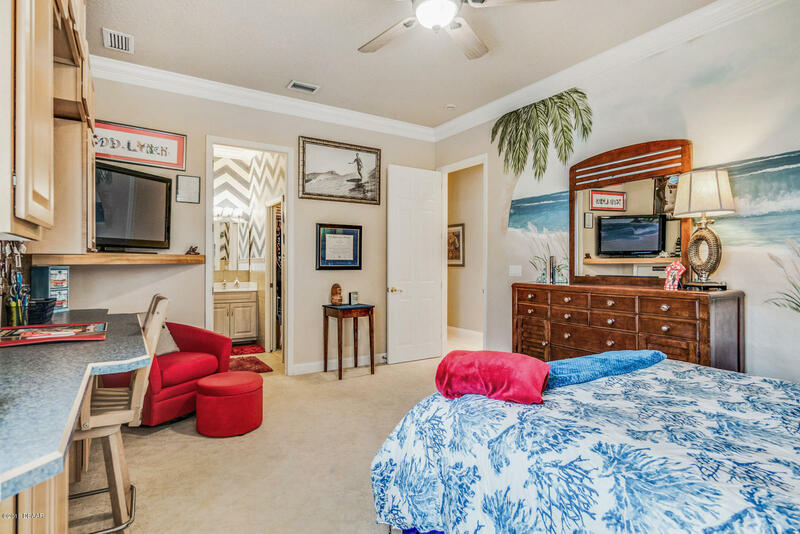 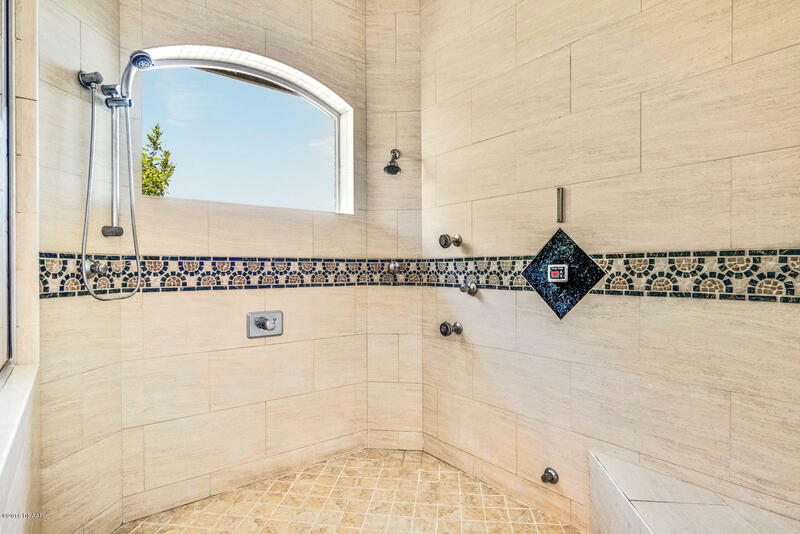 A 5th bedroom is set apart from the rest and shares a bath with the pool and entertainment area, making it a perfect spot for your office or guest bedroom. 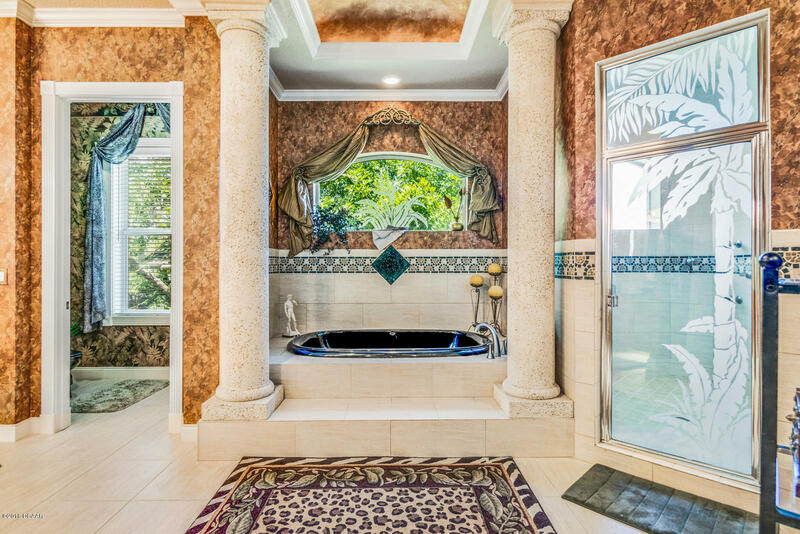 Meanwhile, the magnificent master suite is a luxurious hideaway that on the second floor that includes a spacious sitting area, fabulous fireplace, convenient kitchenette, spa-like master bath, walk-in closets, oversized shower with steam room, and private balcony with breathtaking river views. 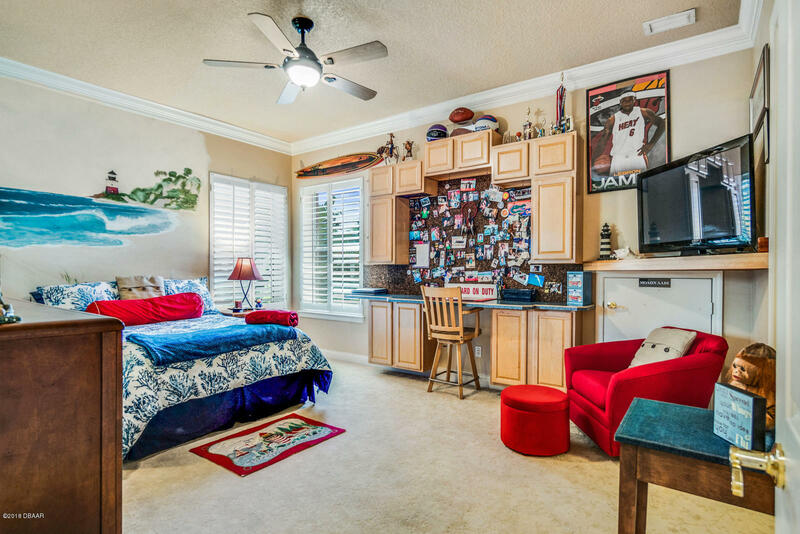 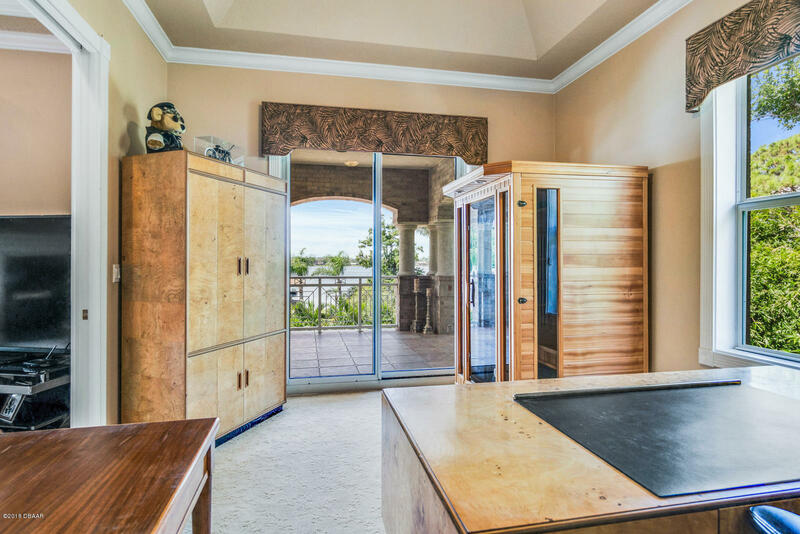 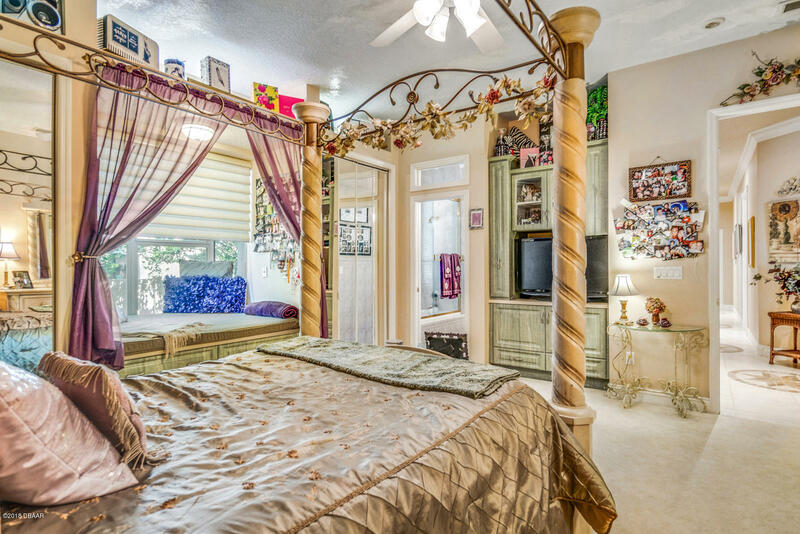 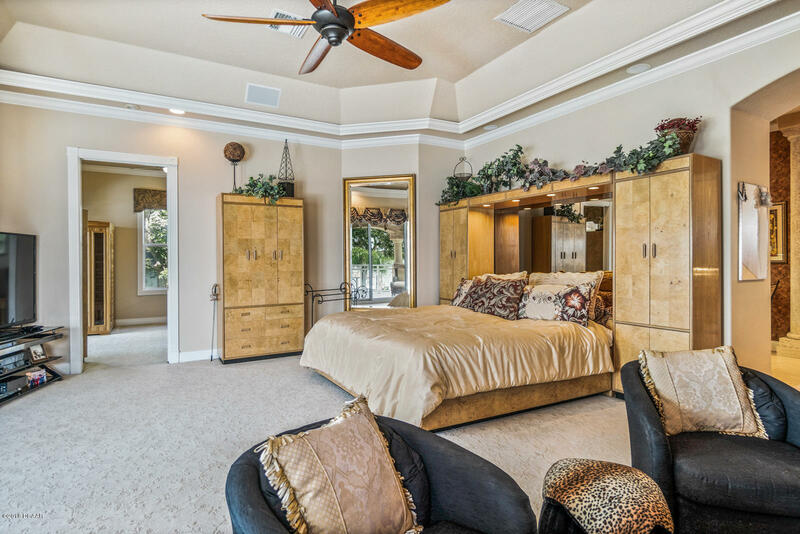 Adjoining the Master Suite is a fabulous flex room that would make a perfect office, nursery, study, or workout room. 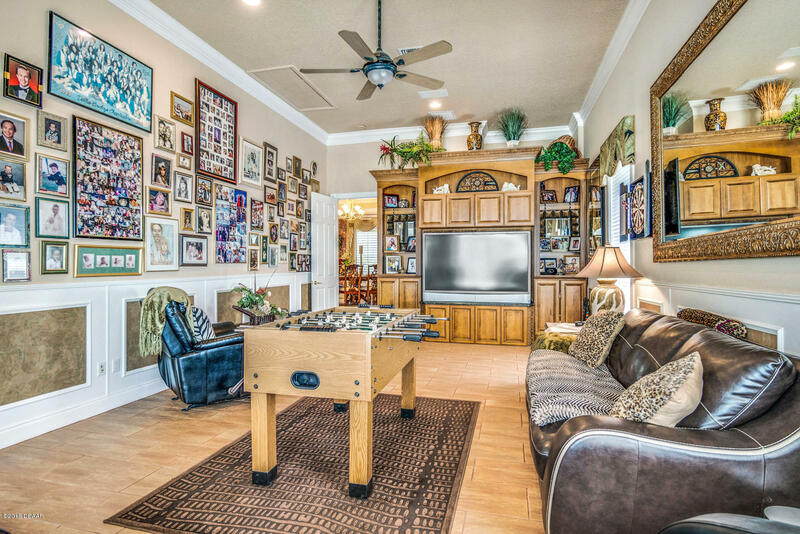 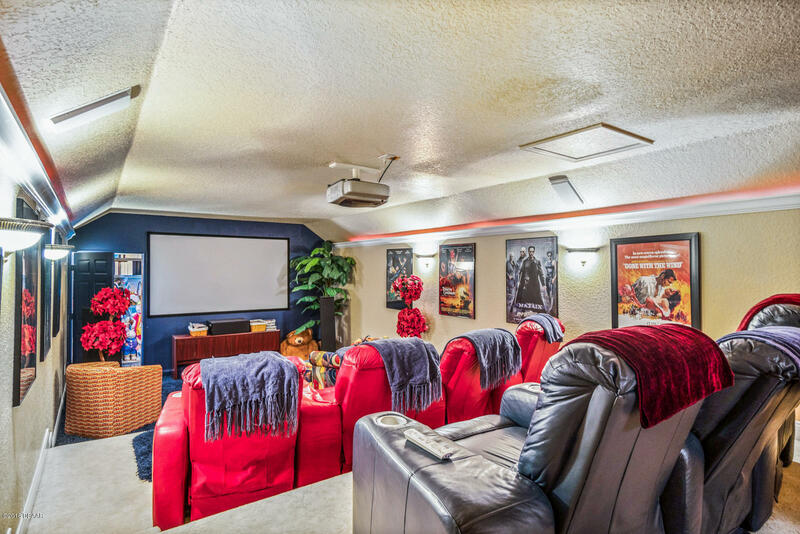 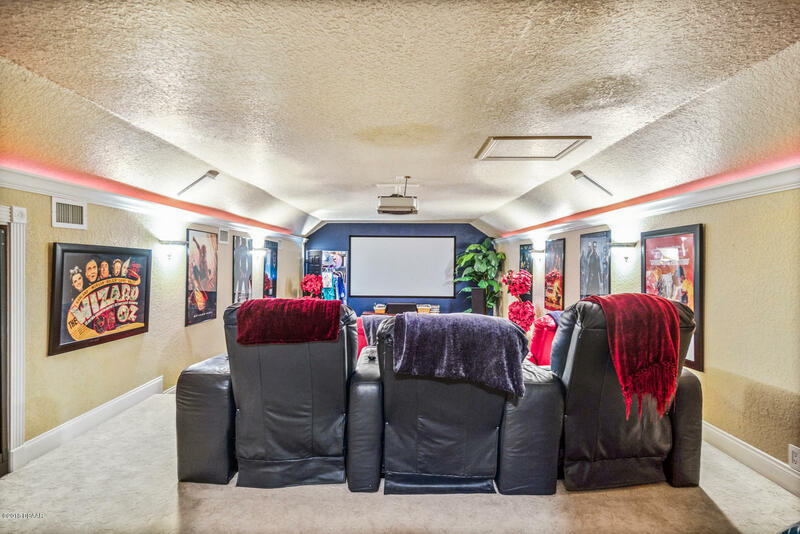 There's also a fabulous home theater room on the 2nd floor. 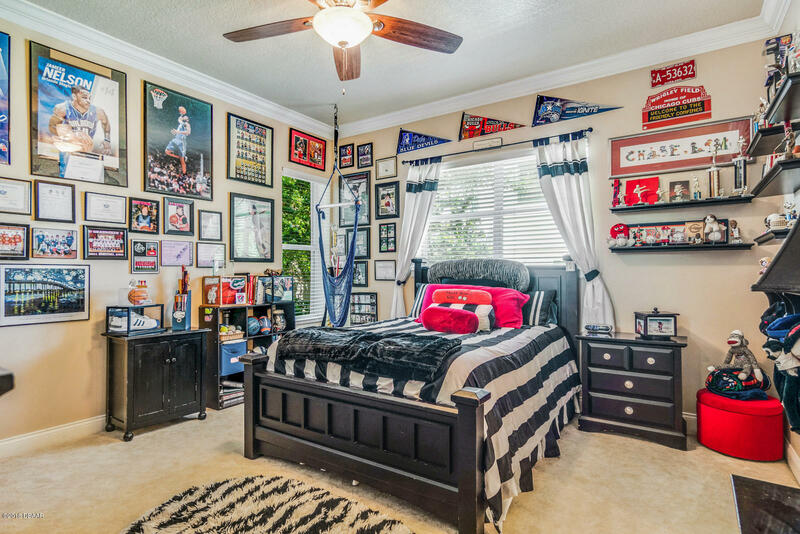 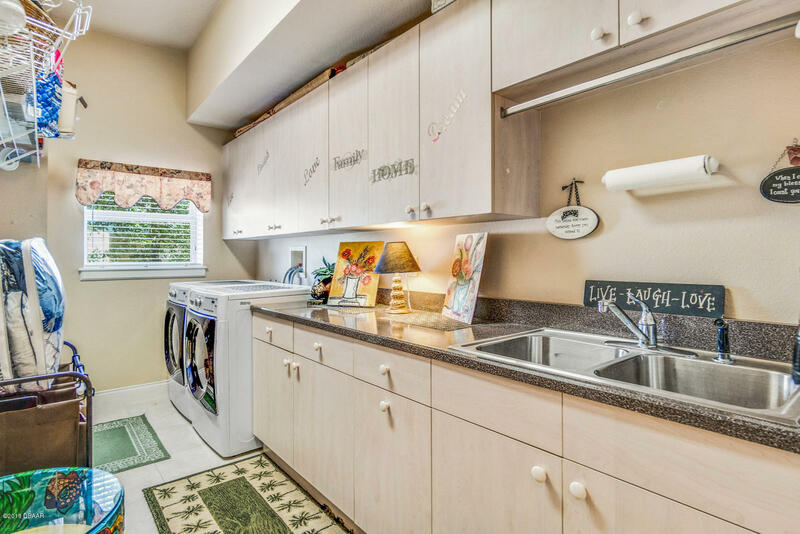 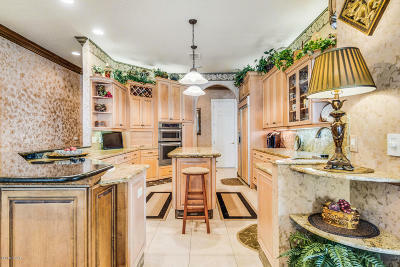 The awesome extras at this home continue with loads of closet and storage space, an oversized garage with car lift and room for 4+ cars, plus a large paver driveway with plenty of parking.